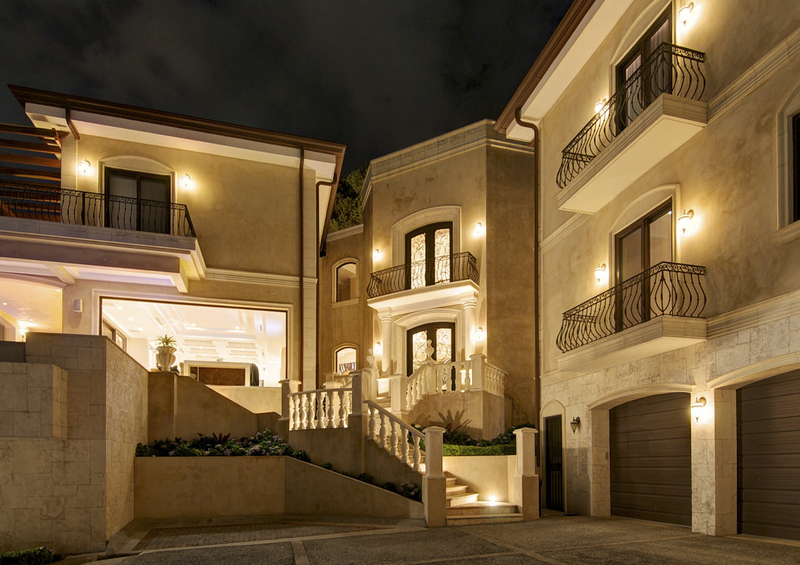 There are rarely homes that are hard for us to describe in words. 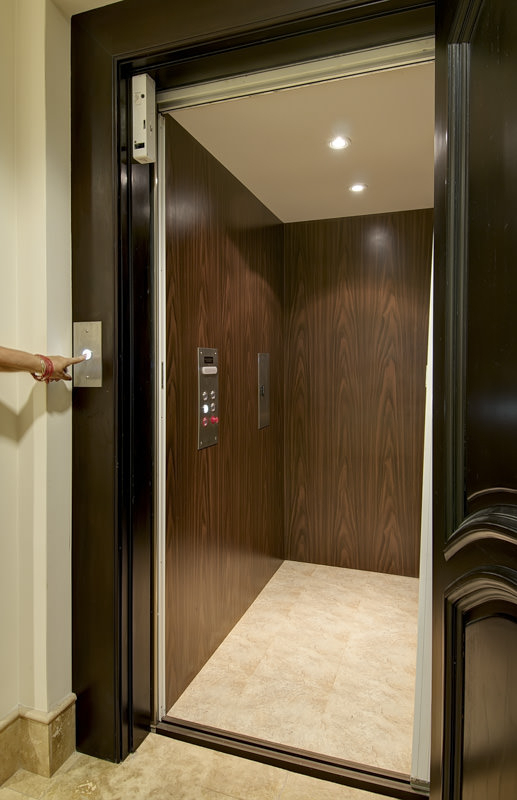 After all, we do this every day. 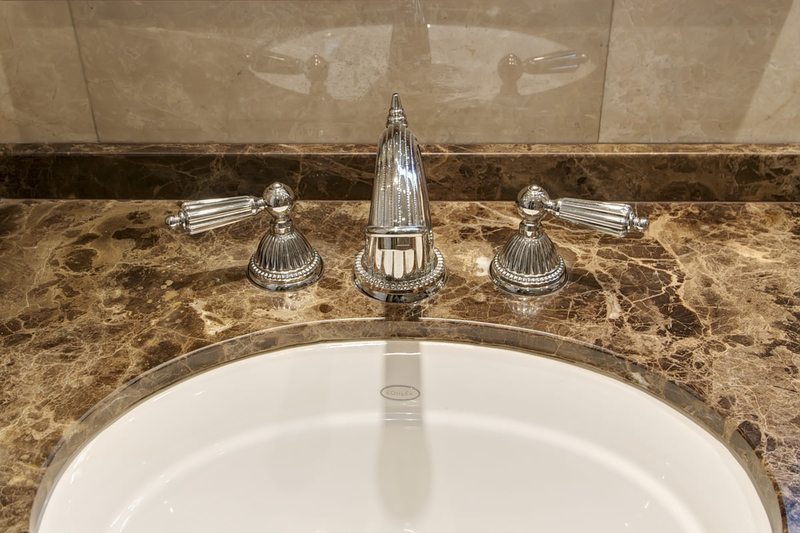 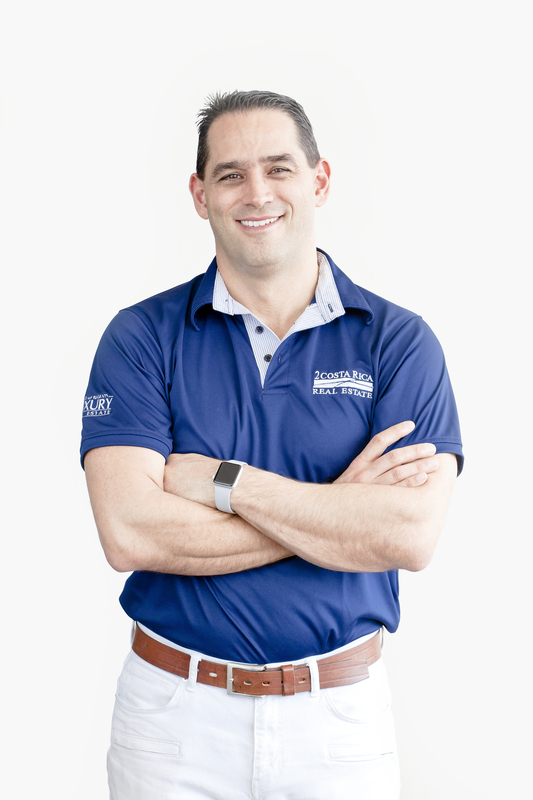 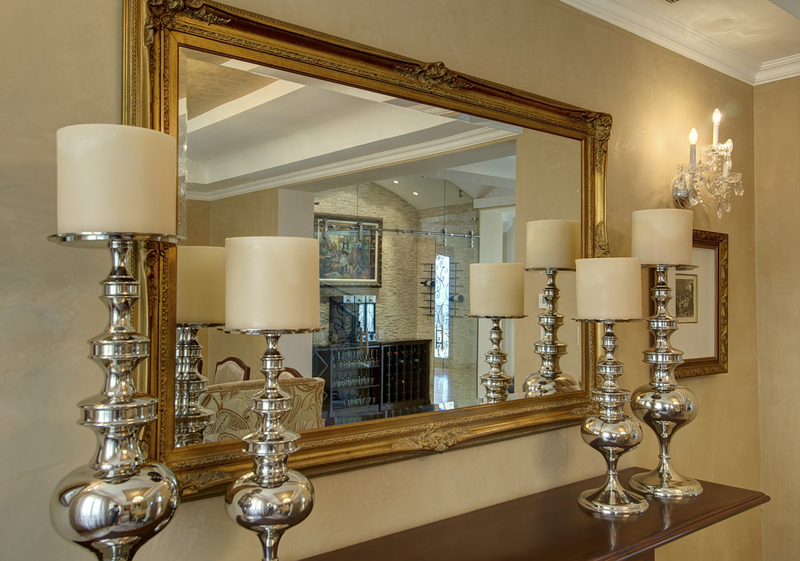 However, ever so often, we view a home that defies even our highest expectation of quality and detail and sets a higher standard which will impress even the most discerning buyer. 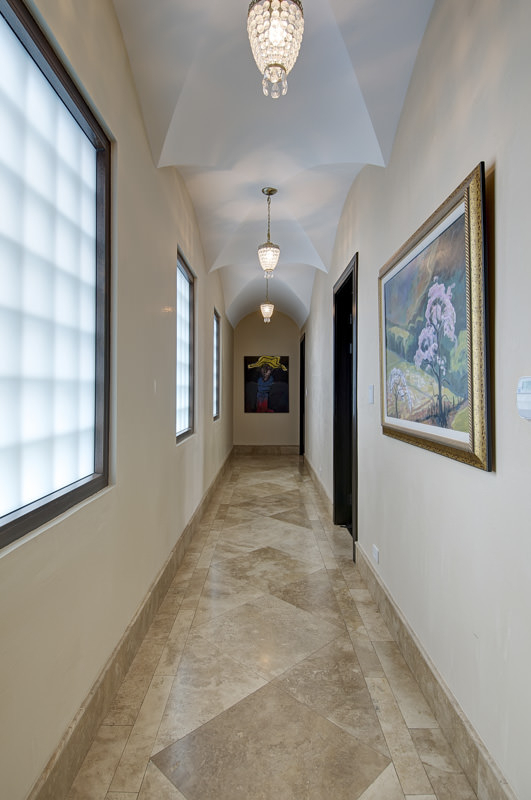 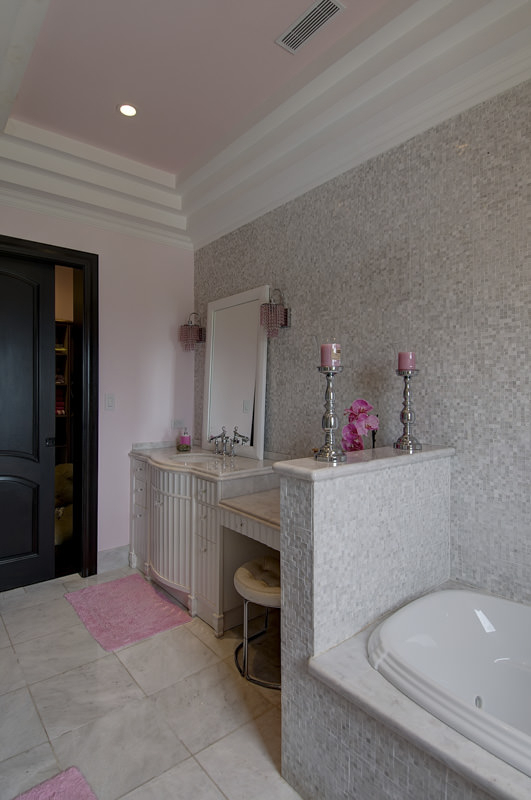 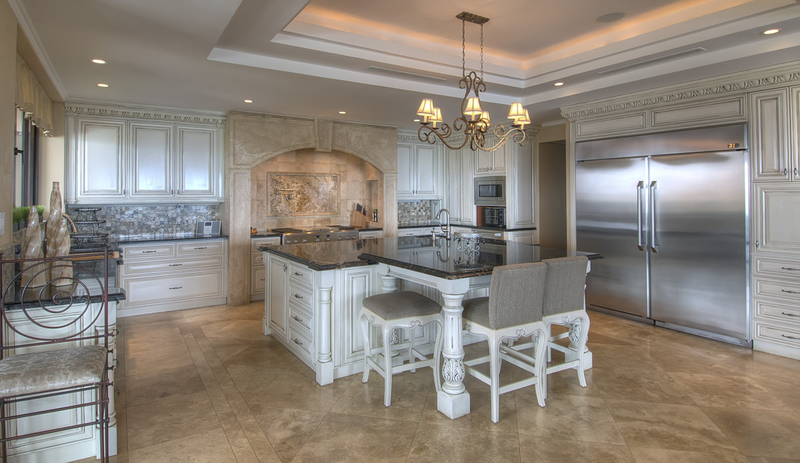 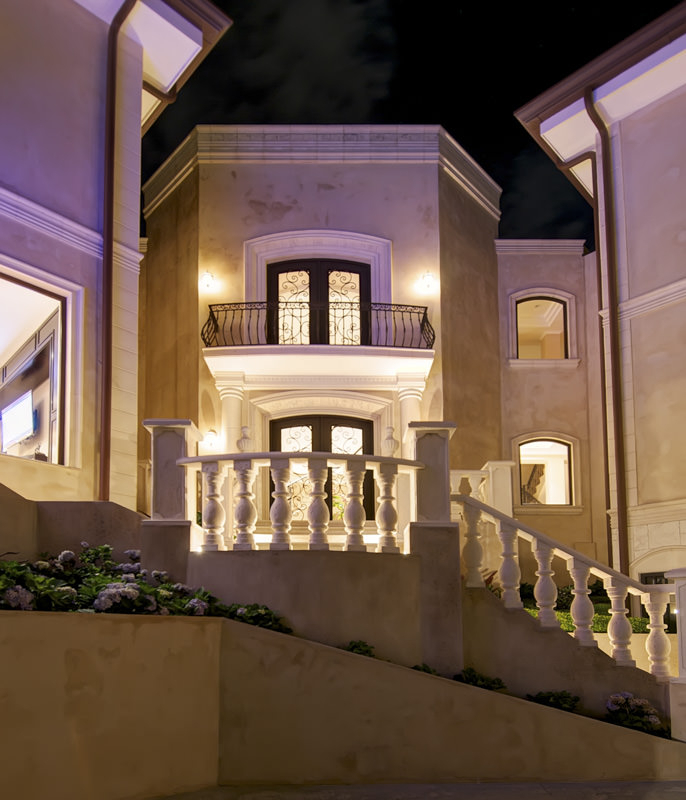 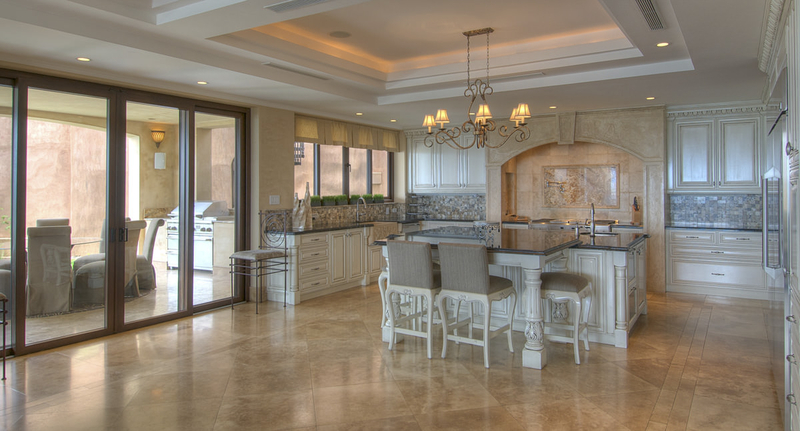 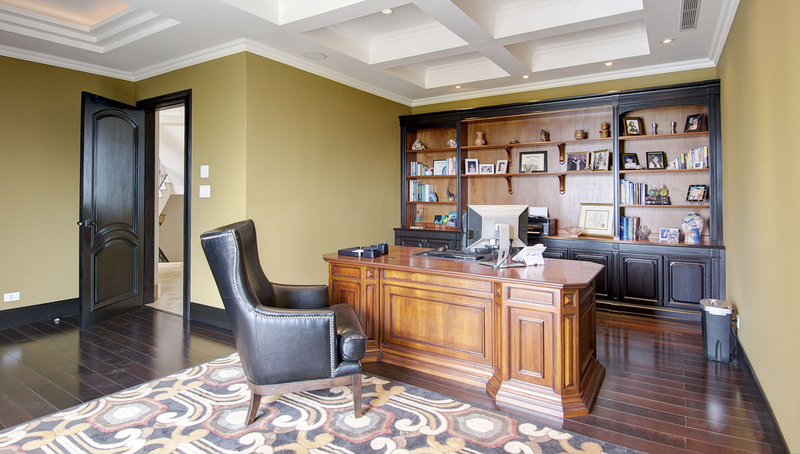 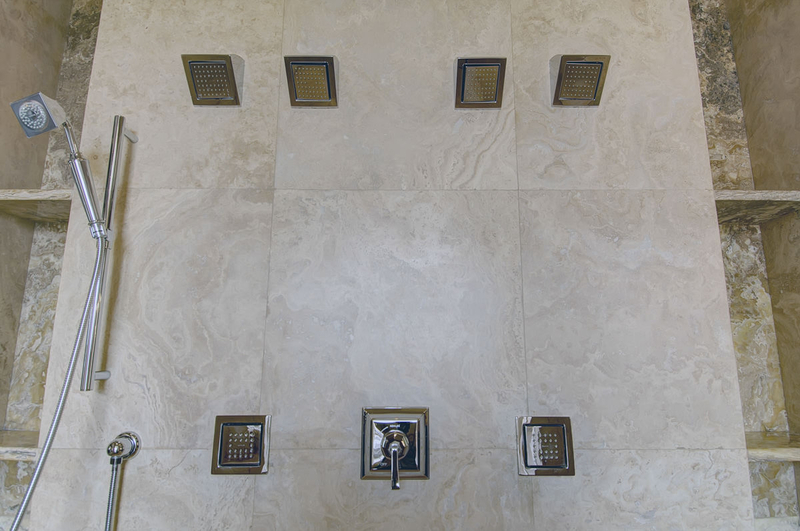 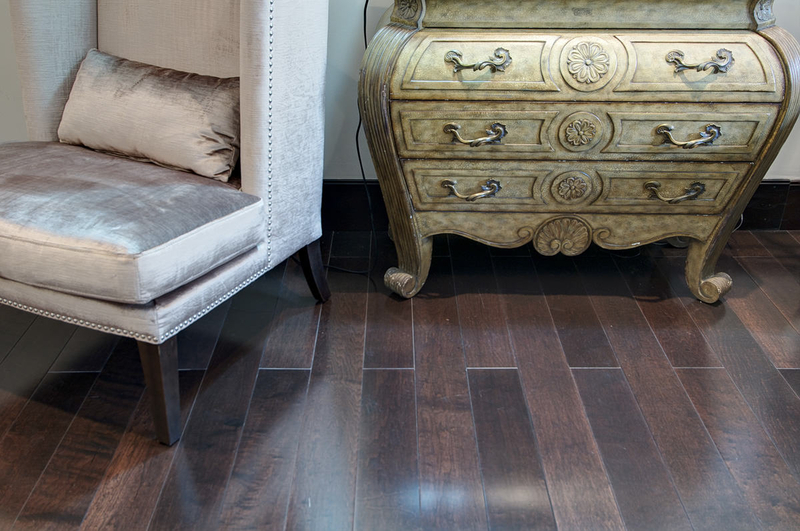 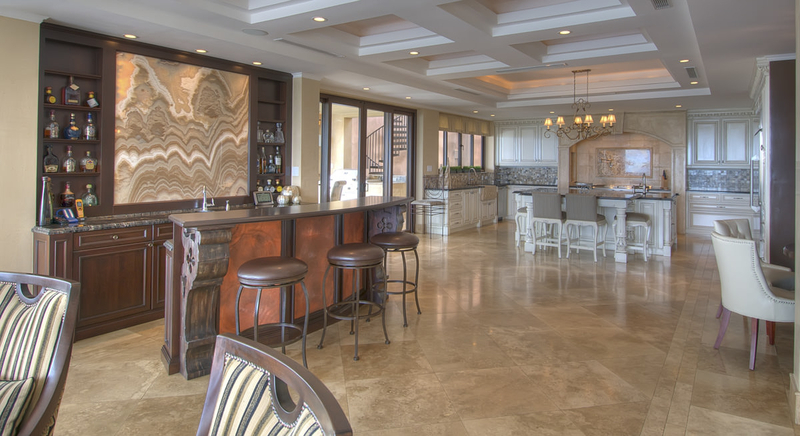 This custom home was designed by its current and only owners as their private residence, and built as their permanent residence sparing no expense, or attention to detail in every corner of the home. 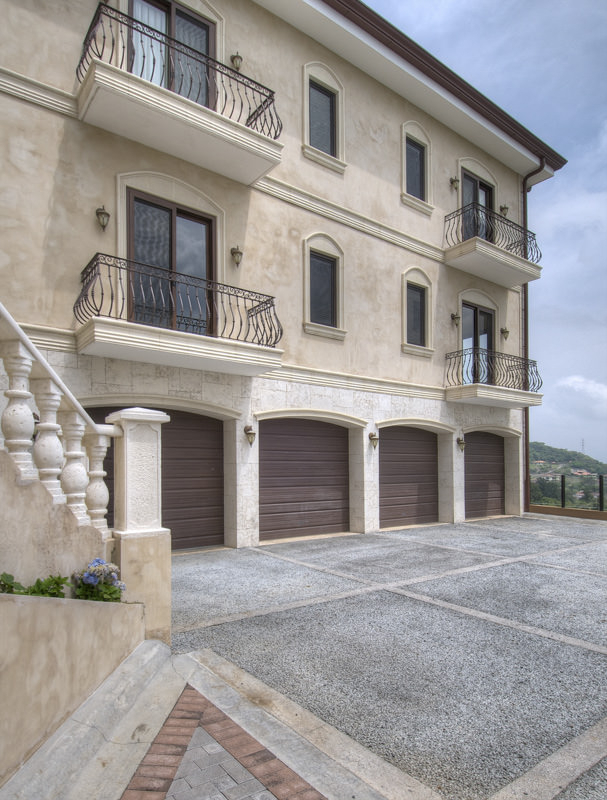 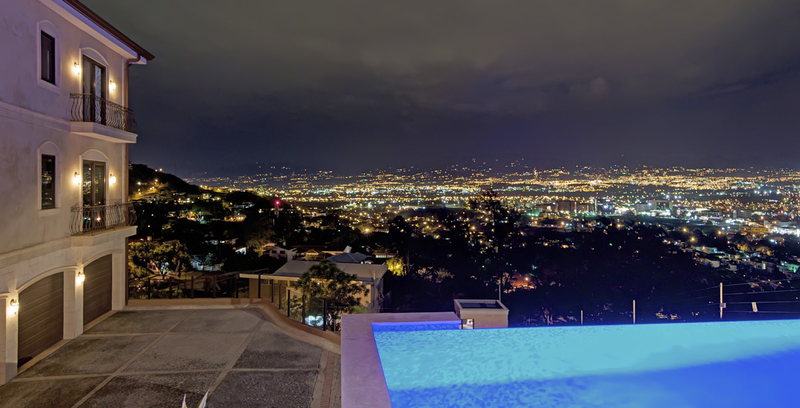 The site was selected after a thorough market search to ensure not only panoramic views of the city and mountains, but also, the convenience of the area's finest restaurants, private schools, banks, commercial sector at its doorstep. 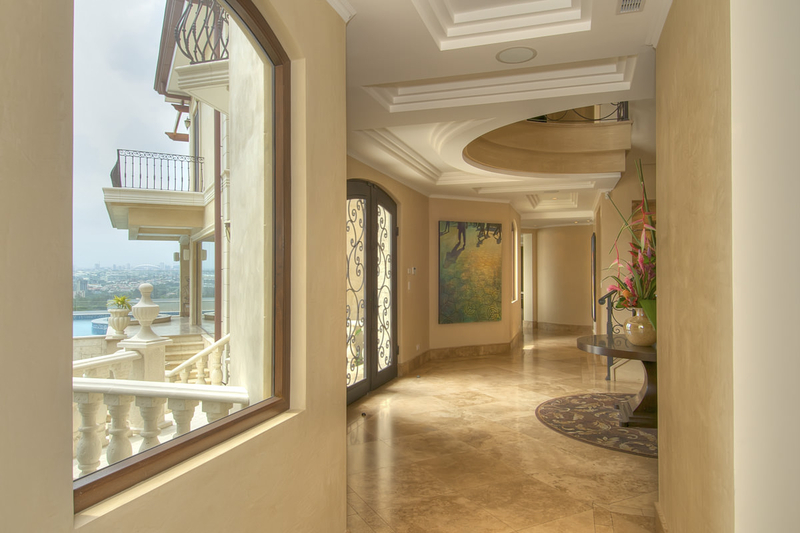 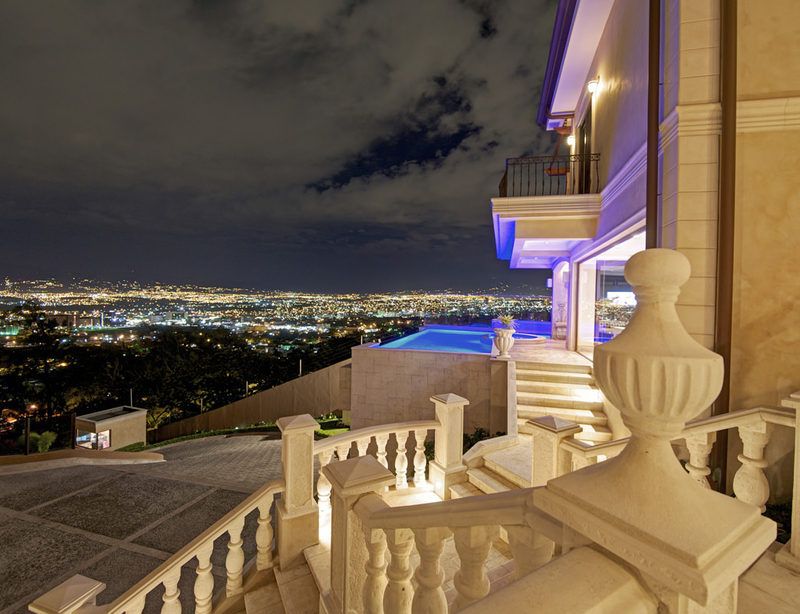 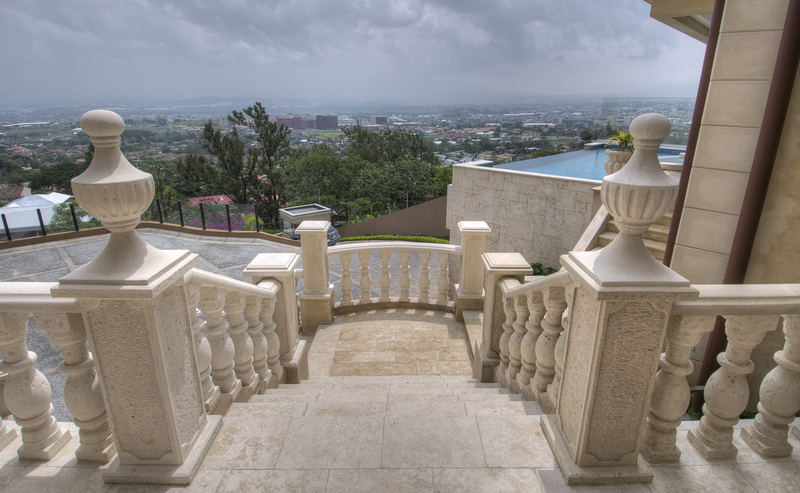 Unlike many of the estate homes that are located well up the hill in San Antonio, this residence provides the best of both privacy and stunning views, with the utmost convenience for its residents and guests. 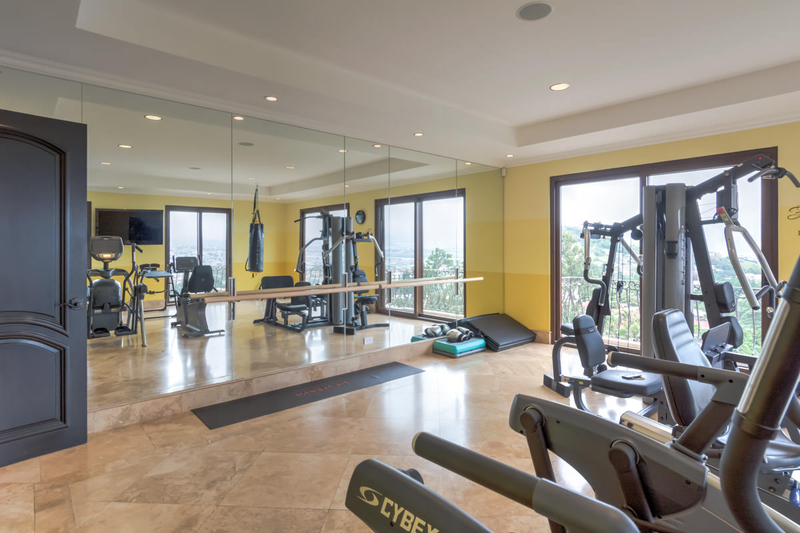 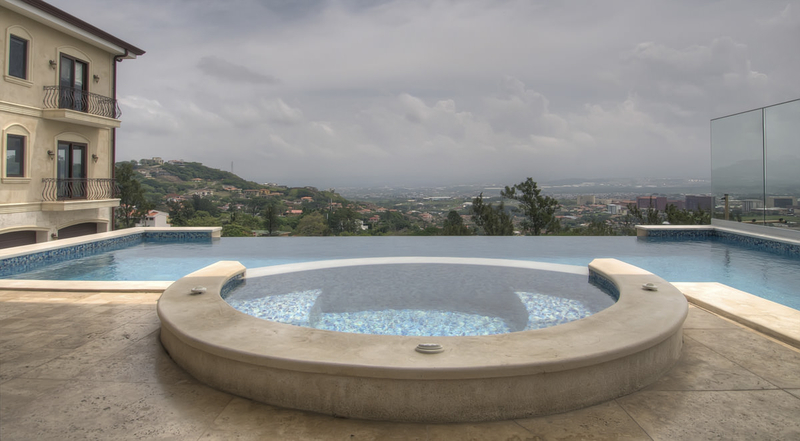 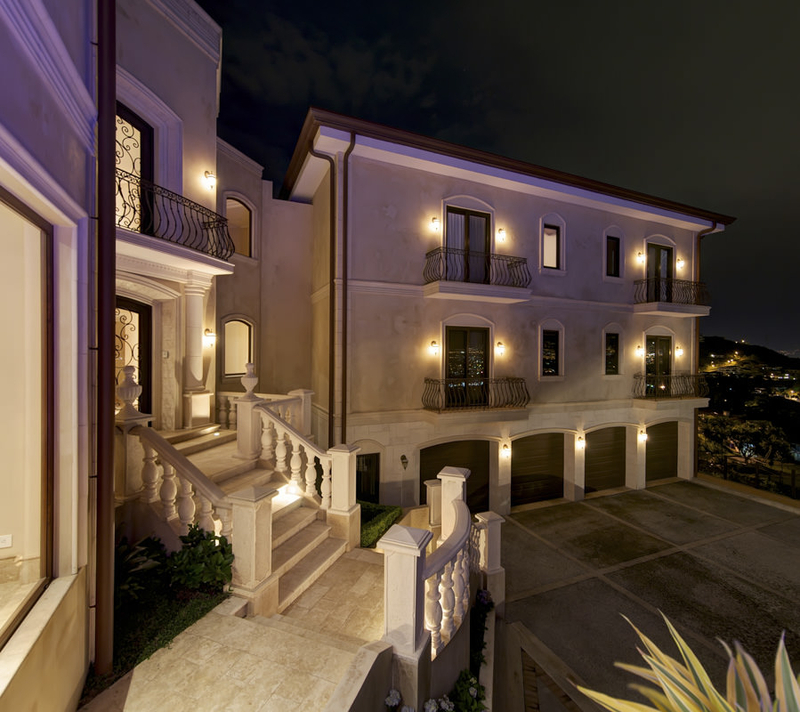 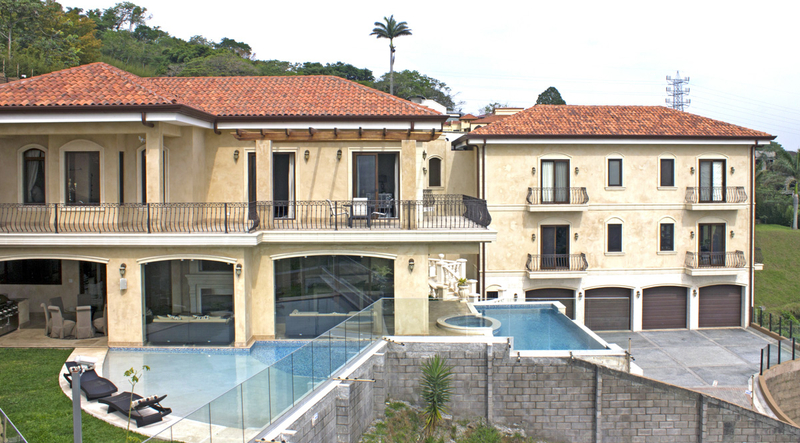 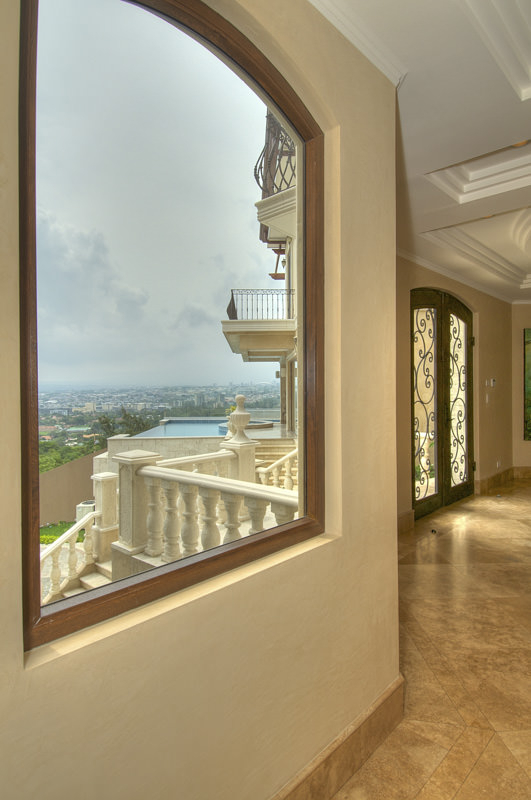 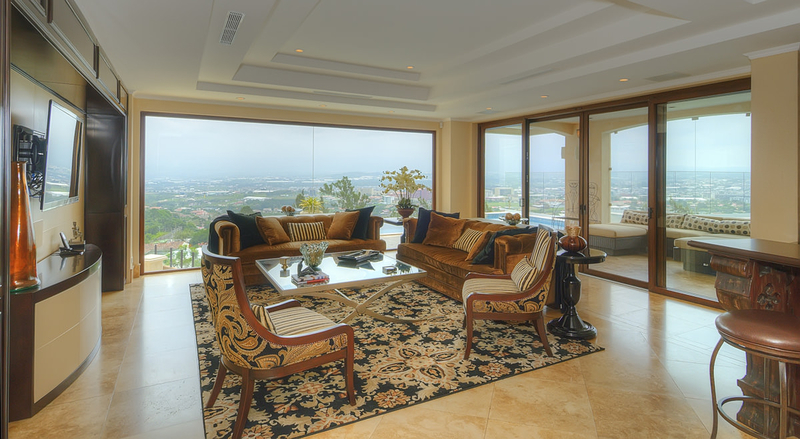 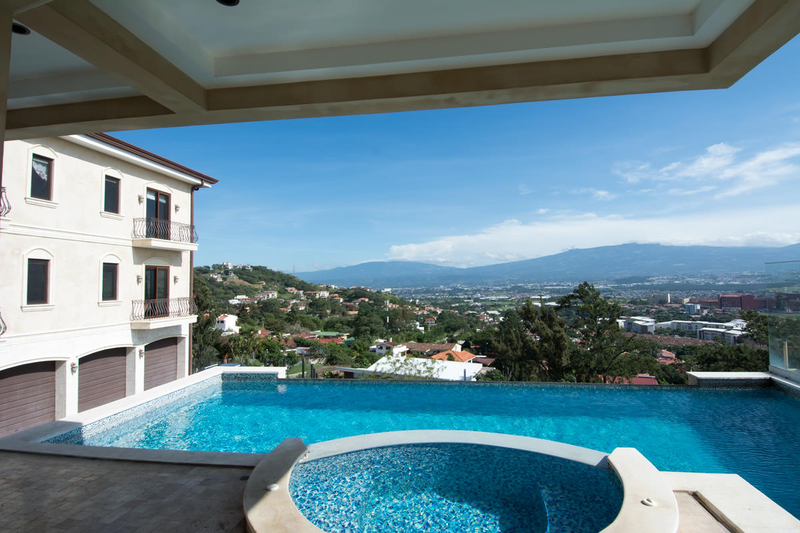 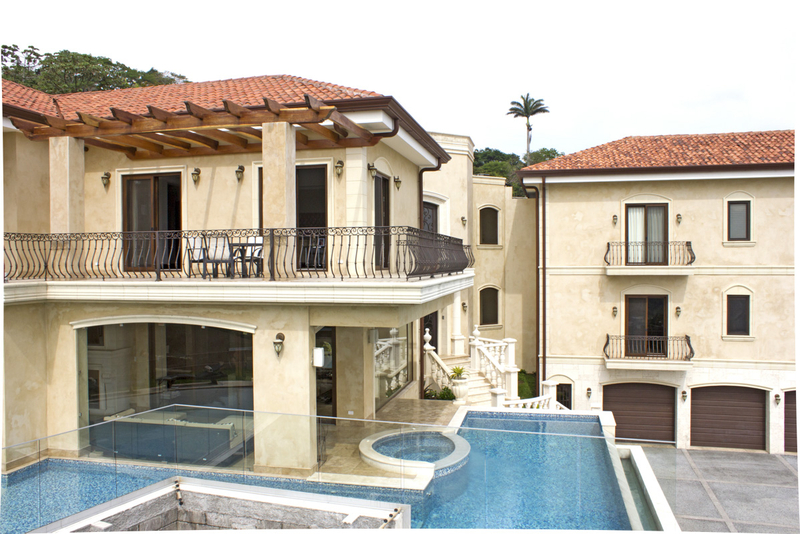 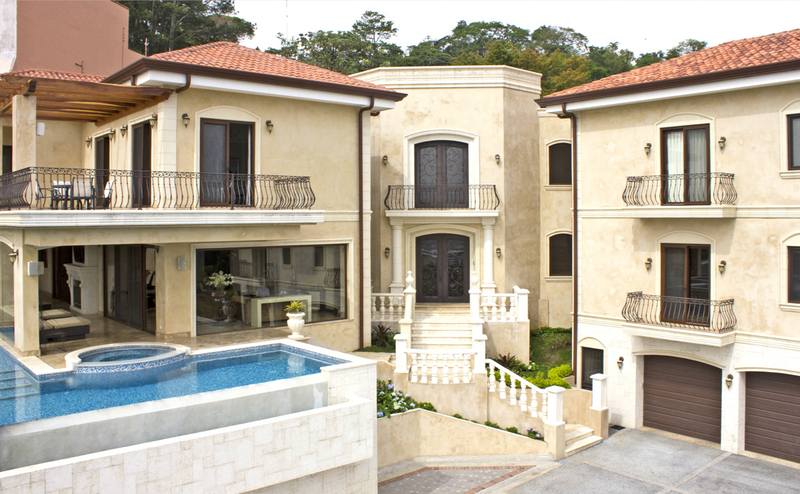 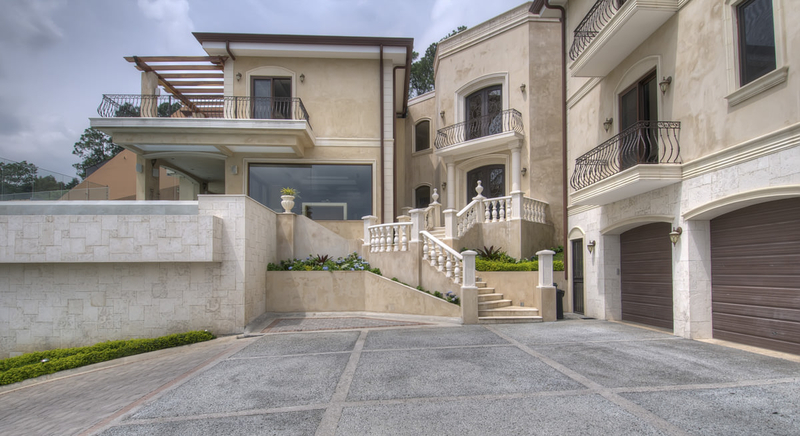 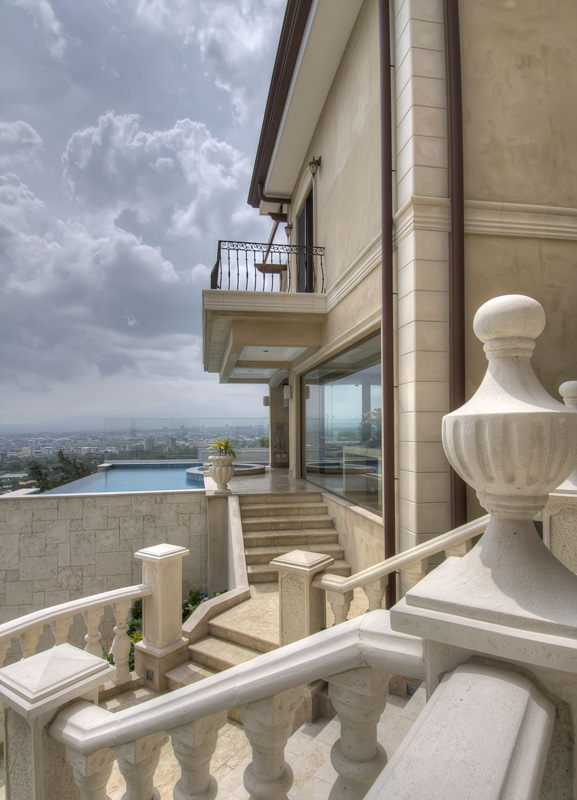 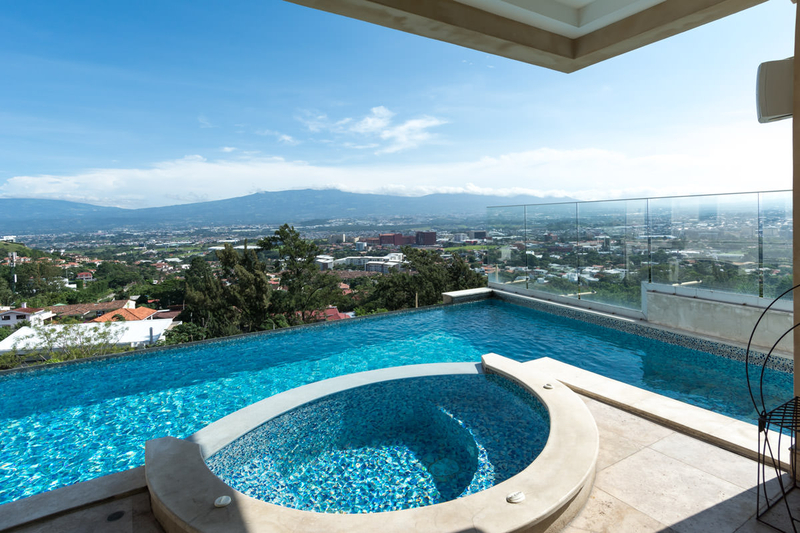 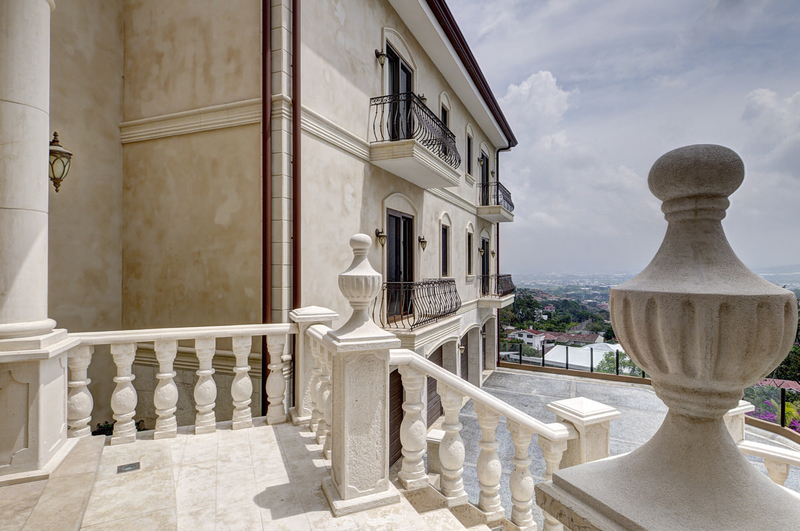 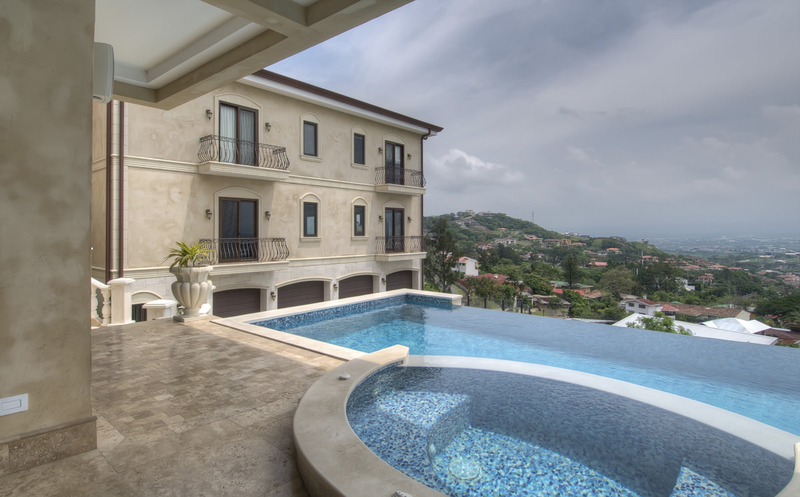 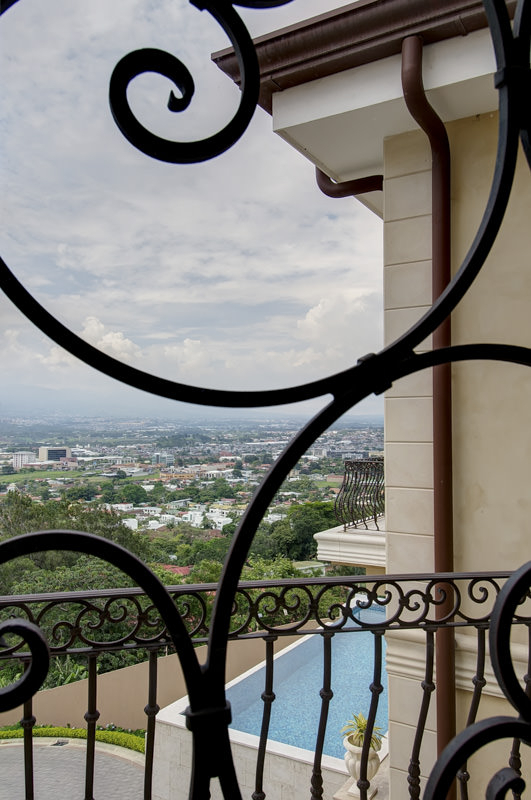 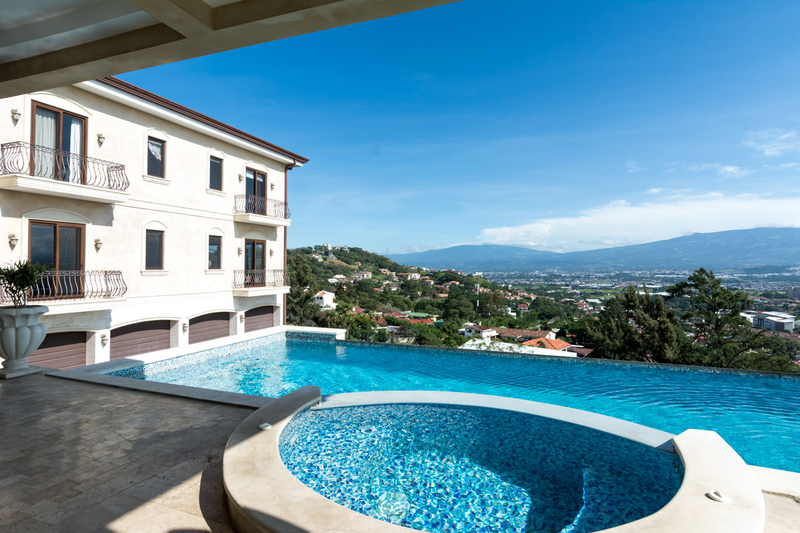 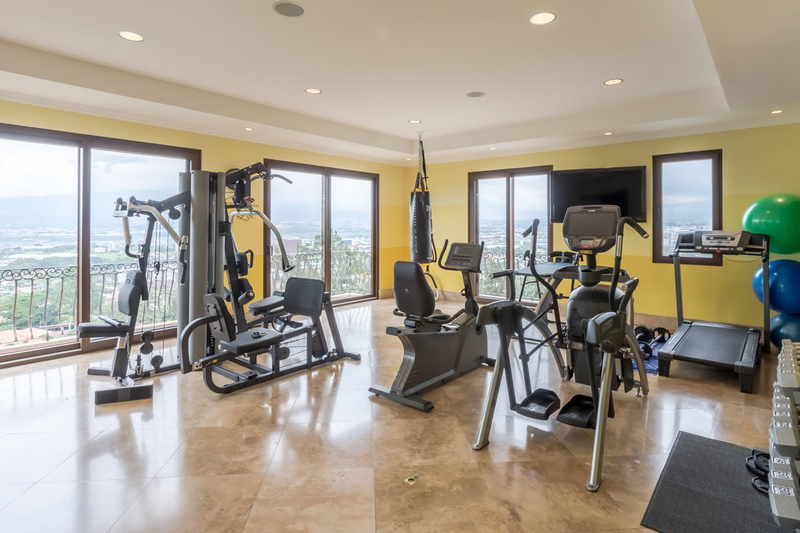 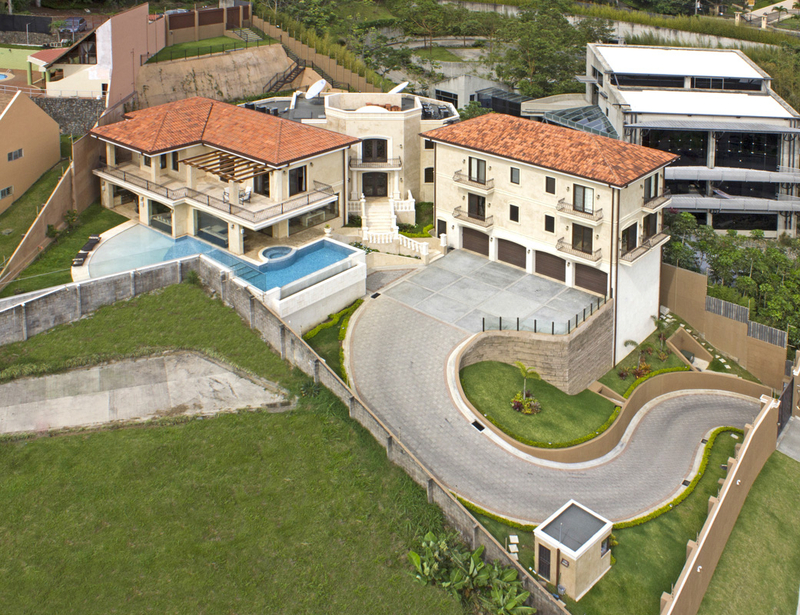 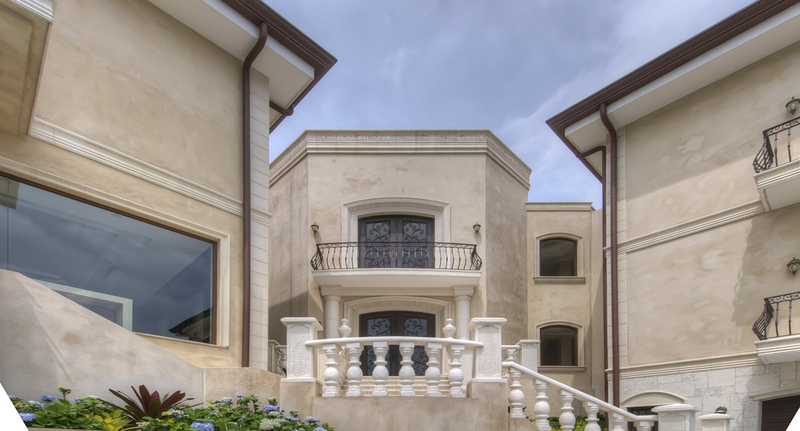 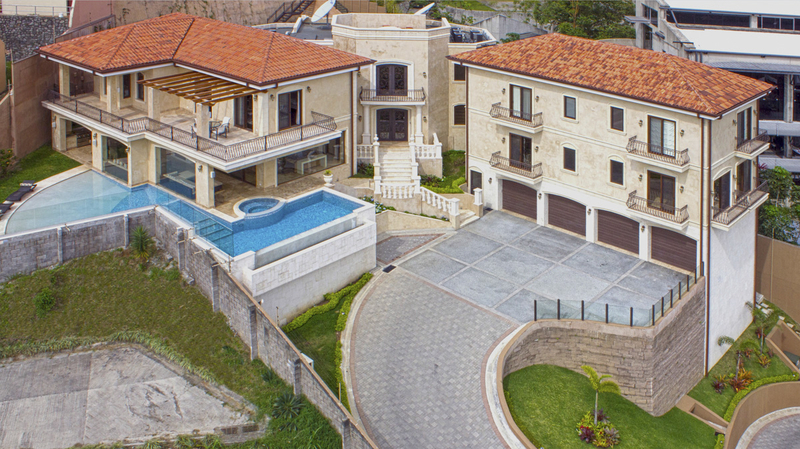 The home sits behind a secure gate in the coveted suburbs of Escazu, and as you drive up the driveway to the parking area, and 3 car, spacious garage, it is inevitable to be drawn to the magnificent structure that sits in front. 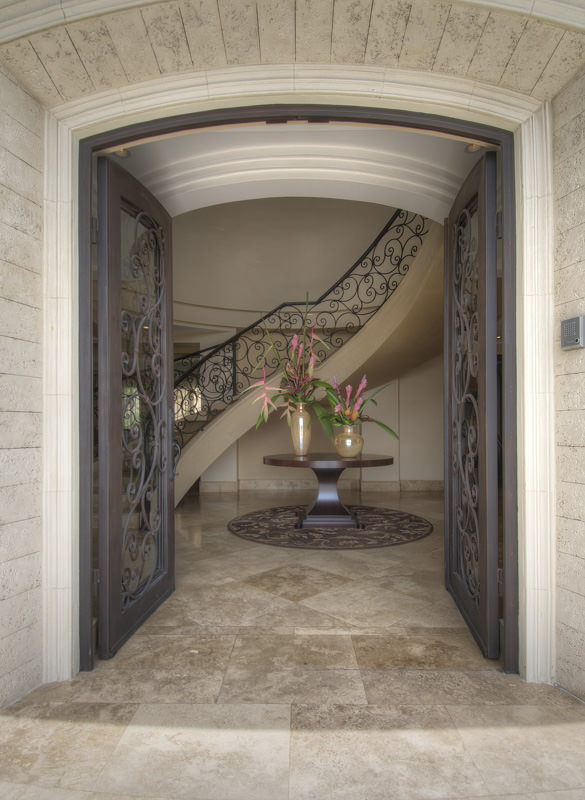 Upon entering the home through the double glass and wrought iron doors, a formal foyeur welcomes you, and the endless details transmit the luxury that the residence breathes. 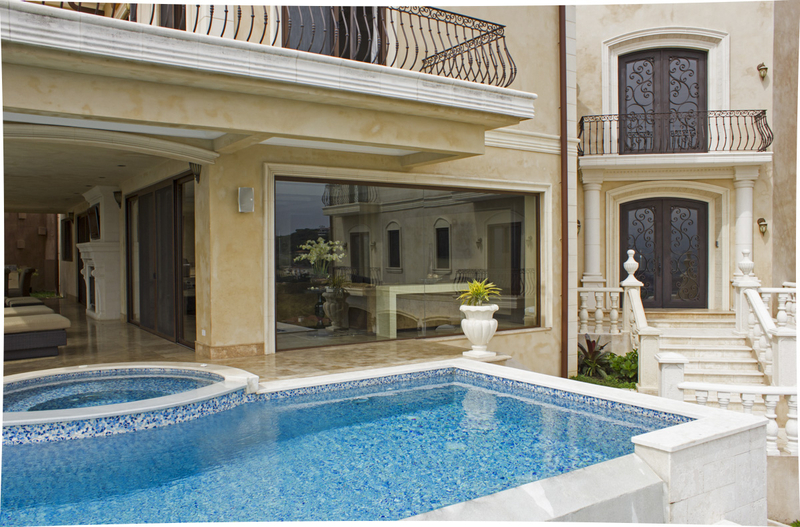 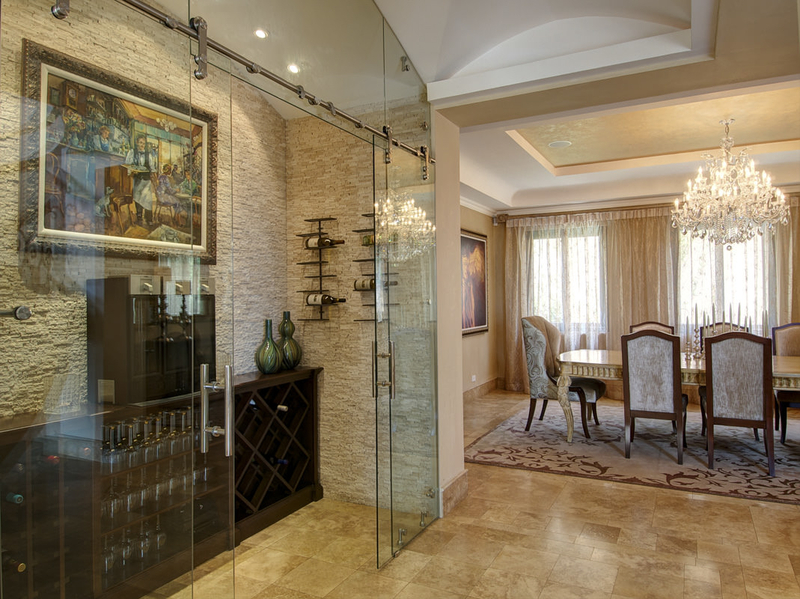 The home is designed with a L shape to provide clear separation between the social and private areas of the home. 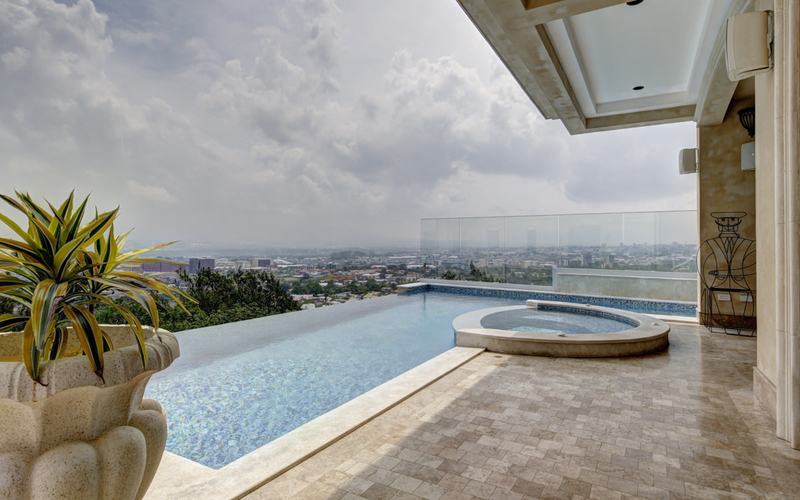 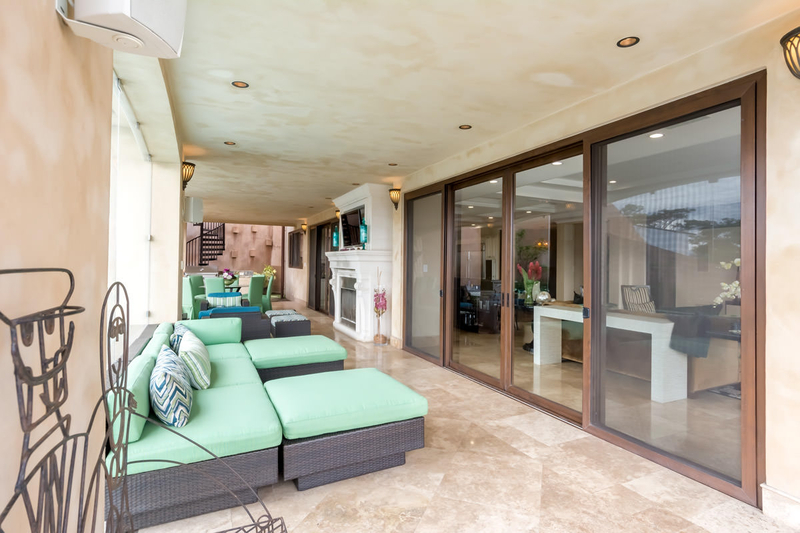 To the left of the entrance, you will find an expansive living room with floor to ceiling glass, overlooking the pool, and panoramic city views. 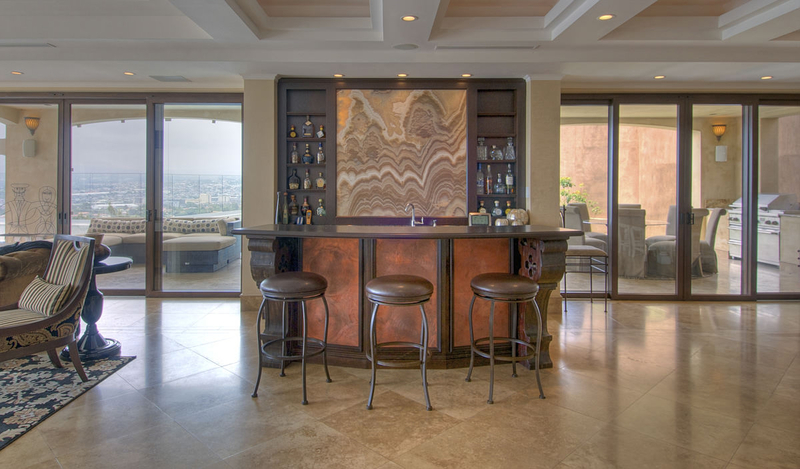 The open floor plan joins this space, with a custom bar with onyx backdrop and hardwood details, with a true, chef's kitchen equipped with the finest both in construction and finishes, including touch sensitive Kohler faucets, custom cabinetry with self closing drawers, professional 6 burner, stainless gas range, with griddle, and double oven, convection oven and microwave, warming drawer, hot water pot filler, and an expansive island. 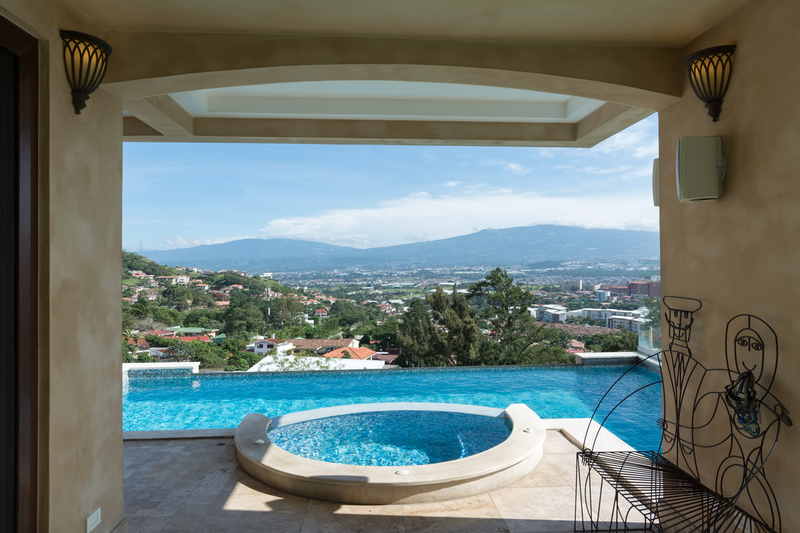 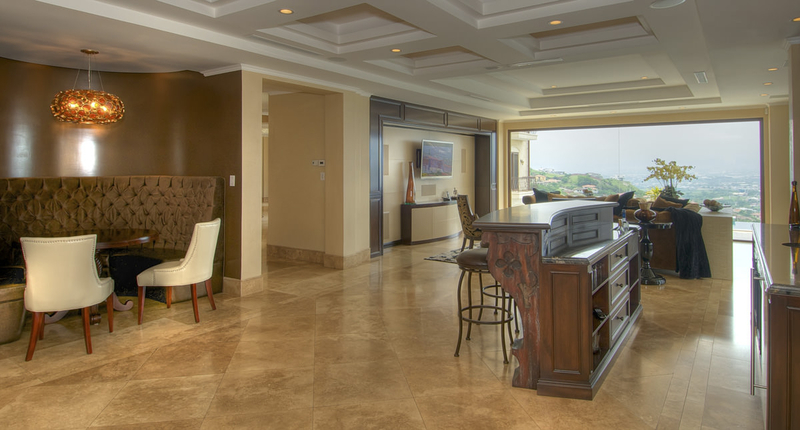 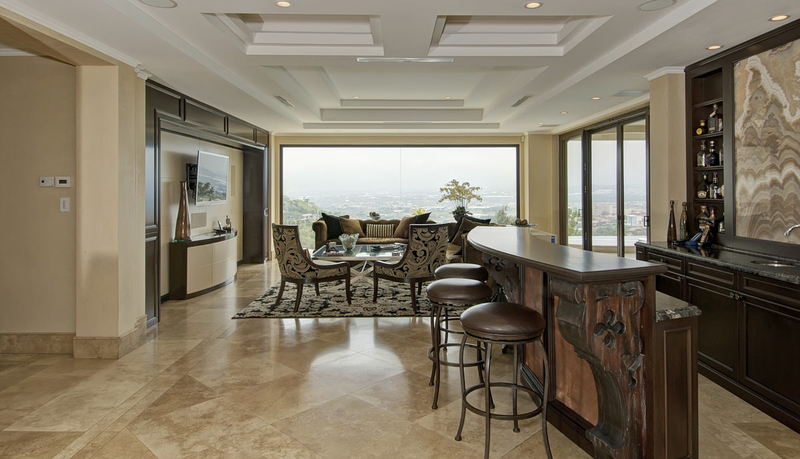 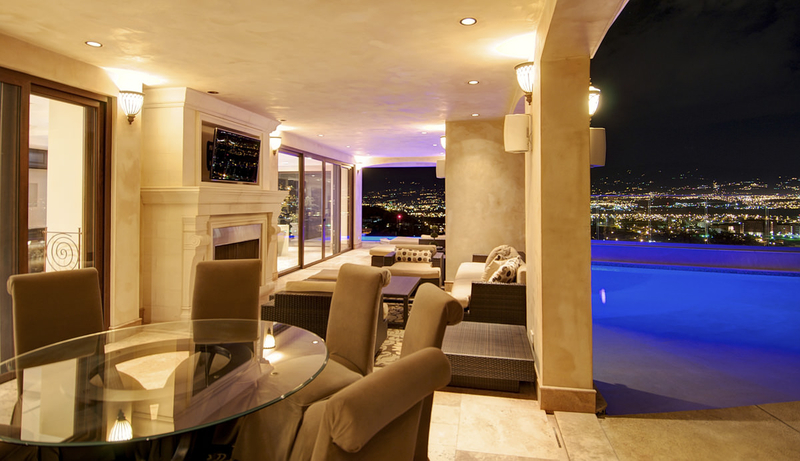 From this area, guests can access the expansive terrace which is covered, and boasts an outdoor living and dining area including a fireplace, inset flatscreen, state of the art grilling area, covered jacuzzi, and an infinity edge pool overlooking the city and mountains surrounding the central valley. 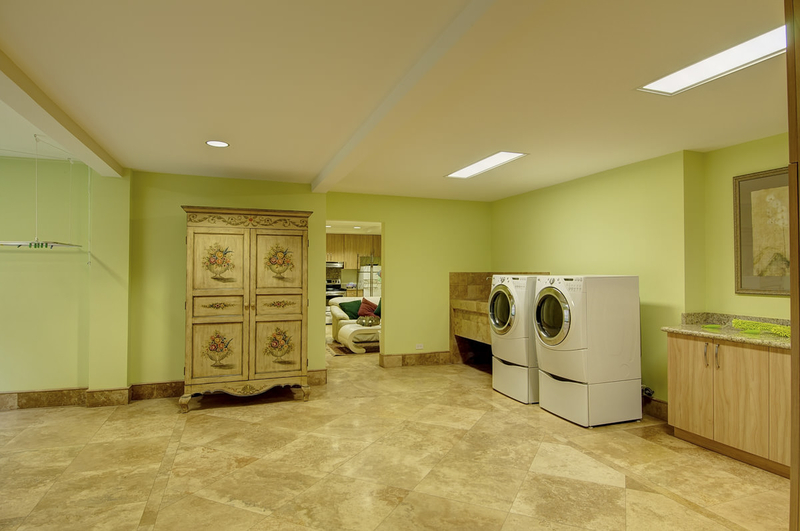 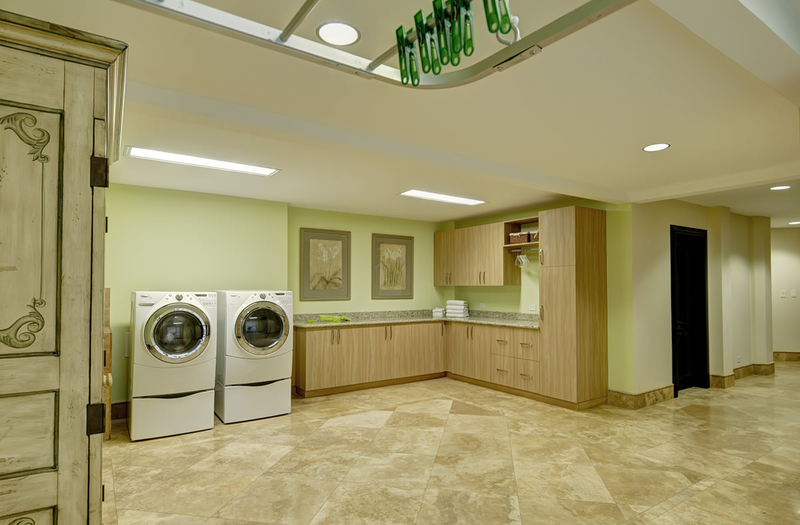 Behind the kitchen, you will find a "mud room", ideal for storing backpacks, jackets, and items that come in and out of the house but are preferred to be left by the door. 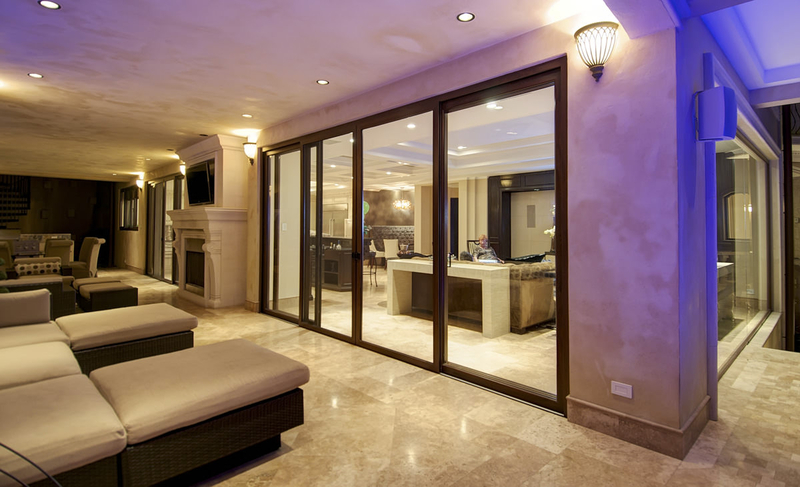 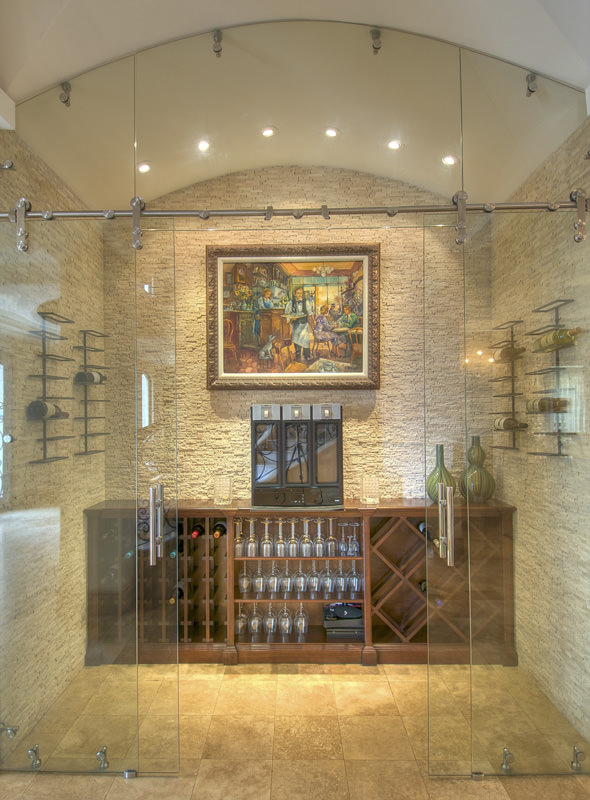 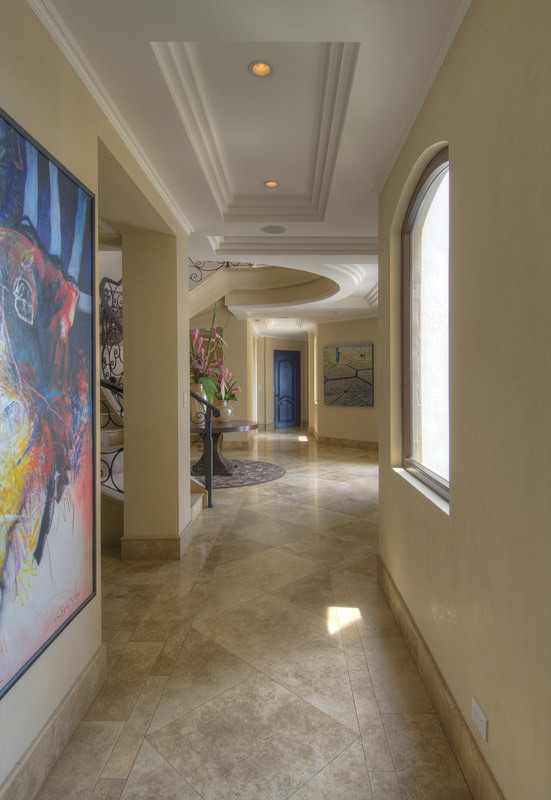 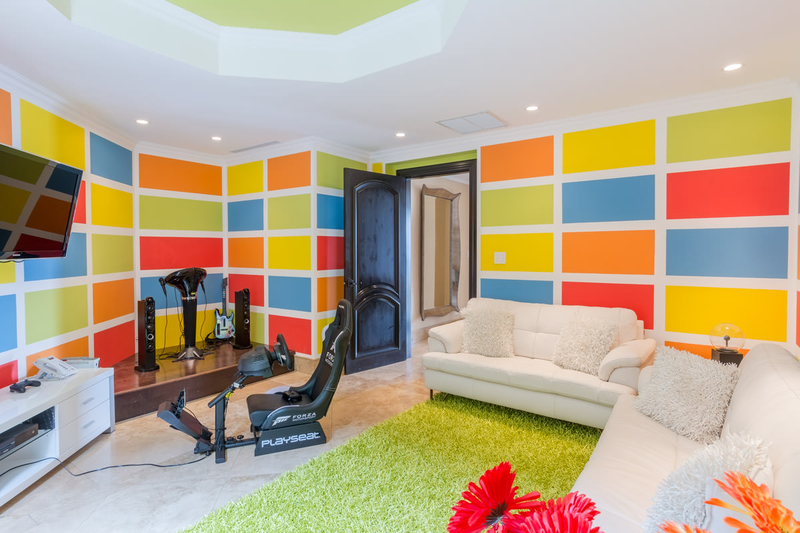 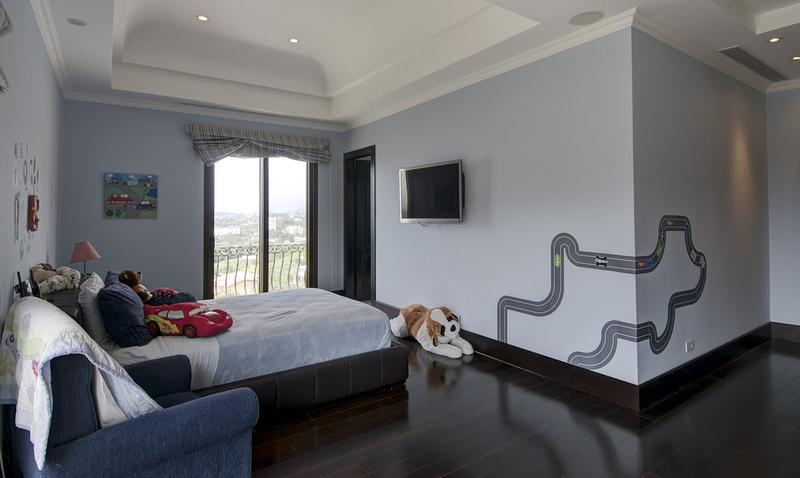 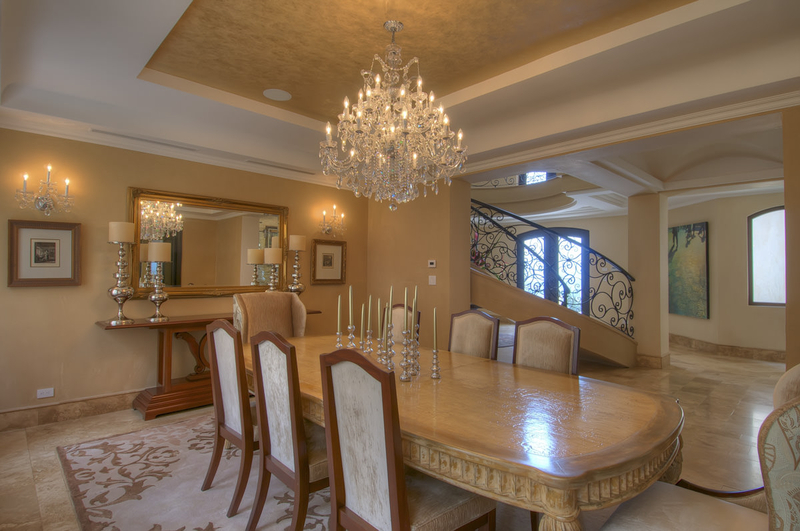 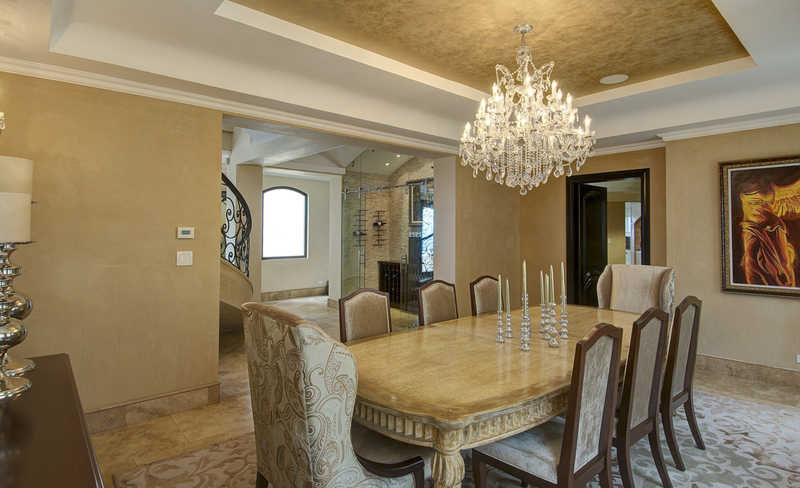 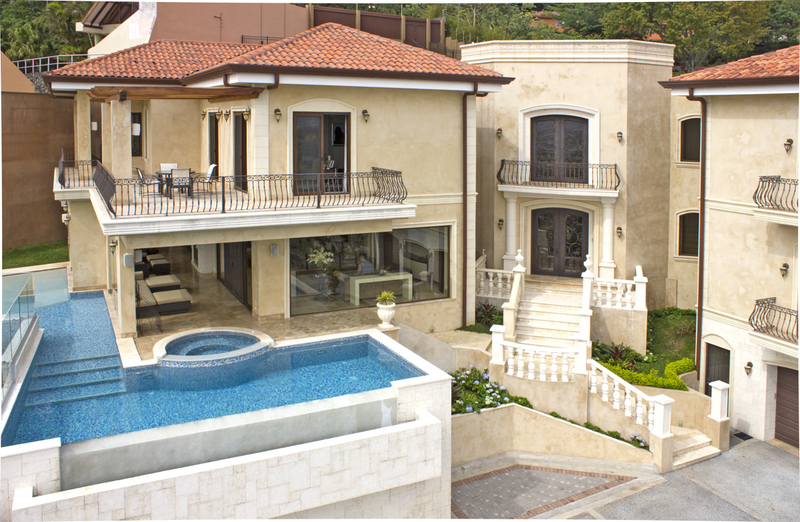 Behind the entrance is the formal dining room, a wine room enclosed in glass, as well as a music/playroom for children. 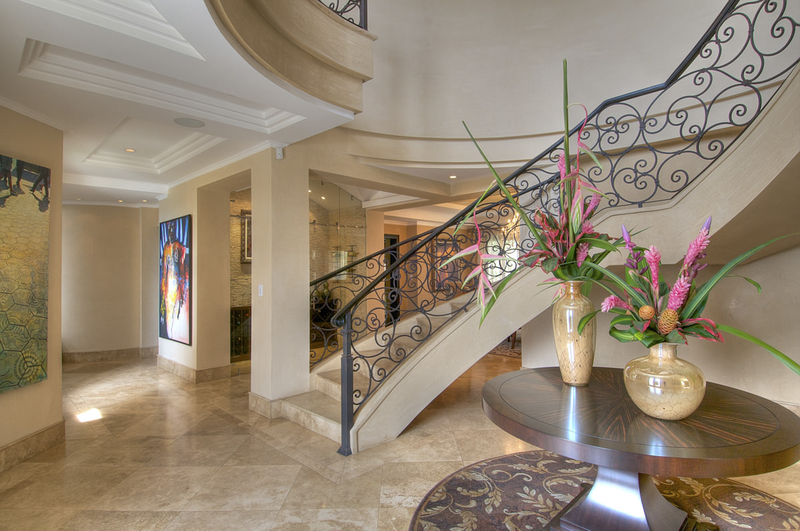 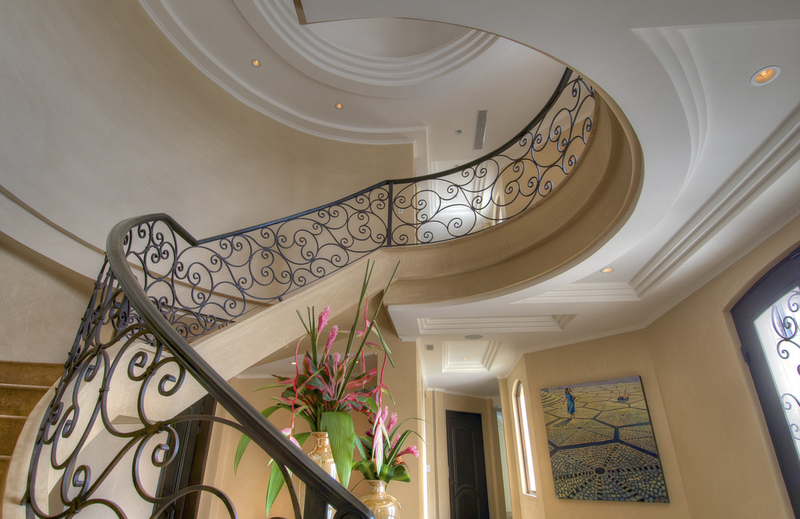 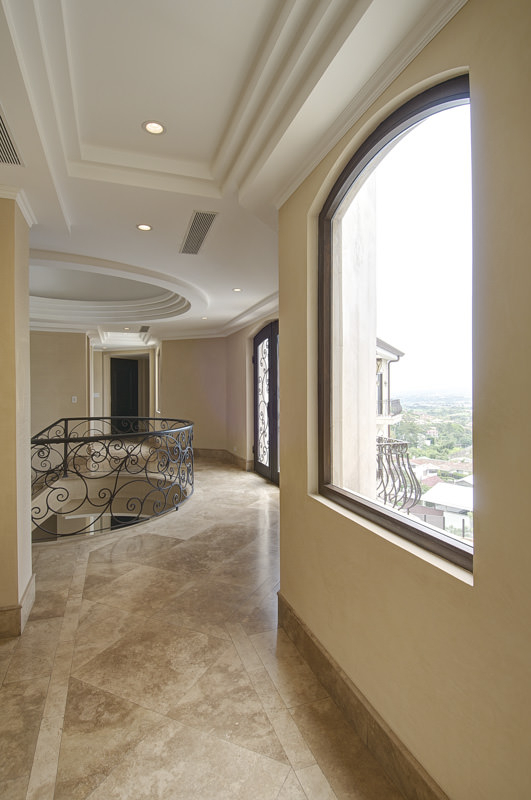 As you walk towards the opposite wing of this floor, you will find a staircase and elevator disects the center of the home accessing the lower level and upper level private area of the home. 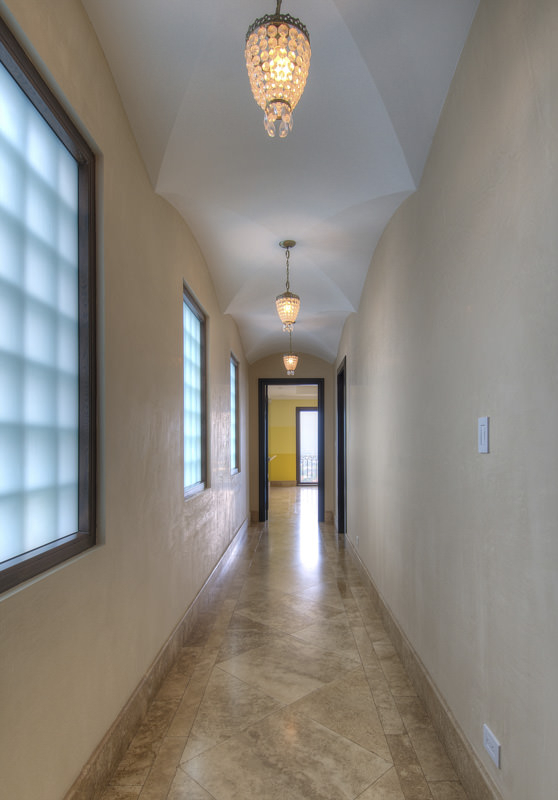 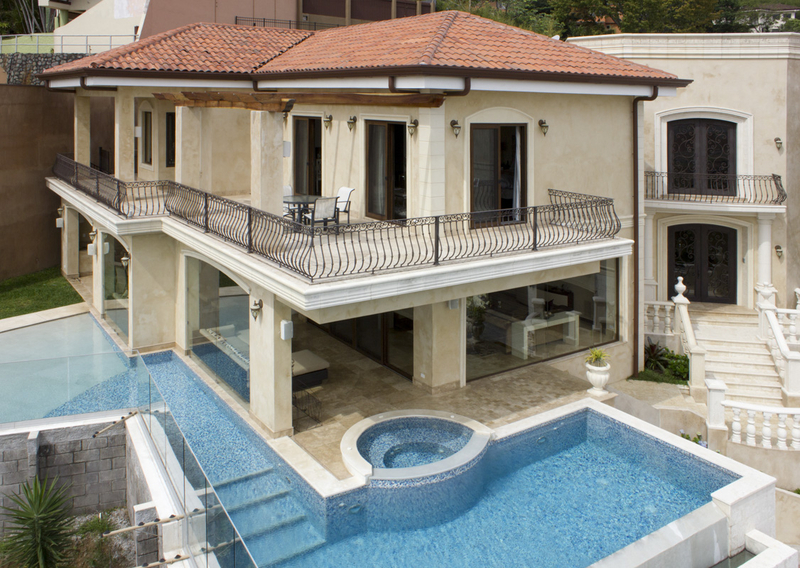 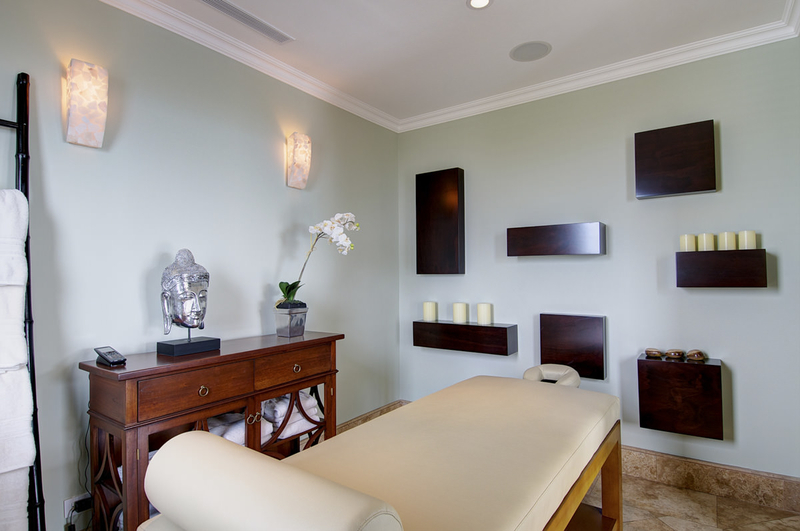 On this wing of the home, you will find an office, massage room, and a gym. 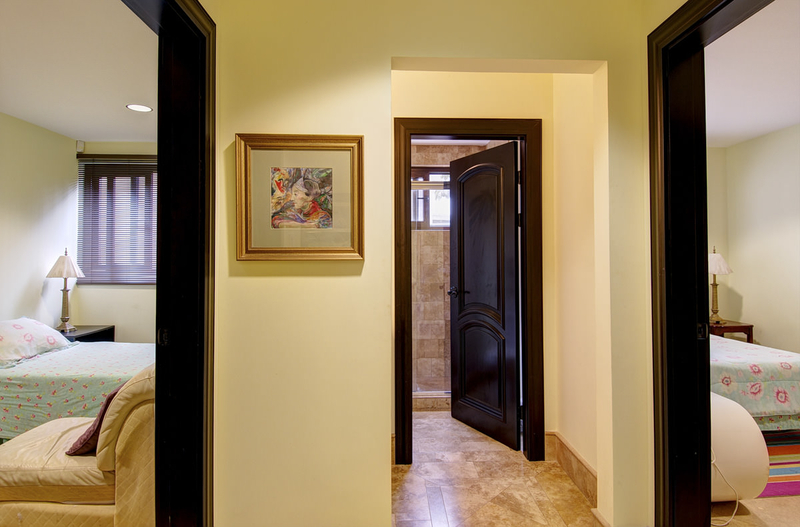 The second floor of the home, accessed either via the stairs, or elevator, boasts an impressive, and self contained guest suite with spacious bedroom and living space, walk in closet and impressive bathroom. 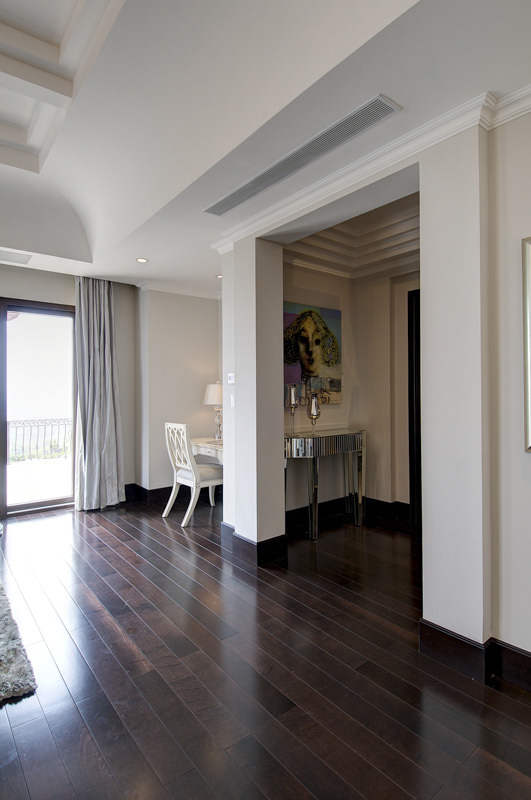 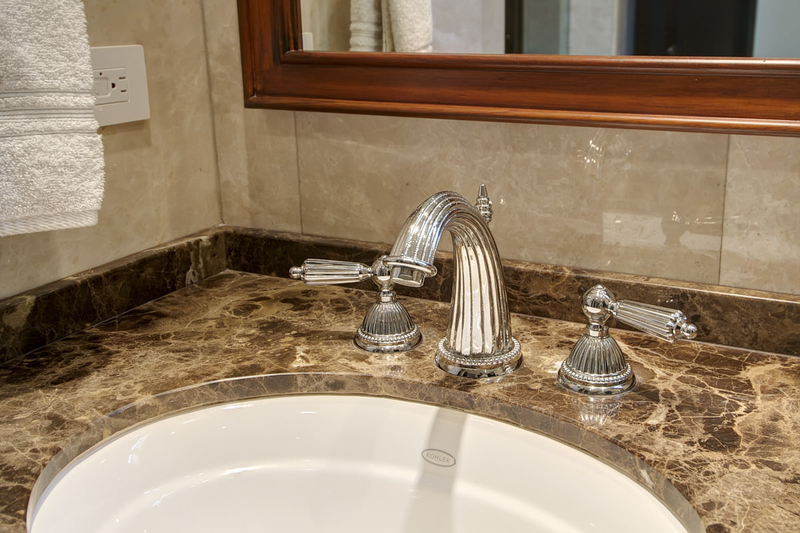 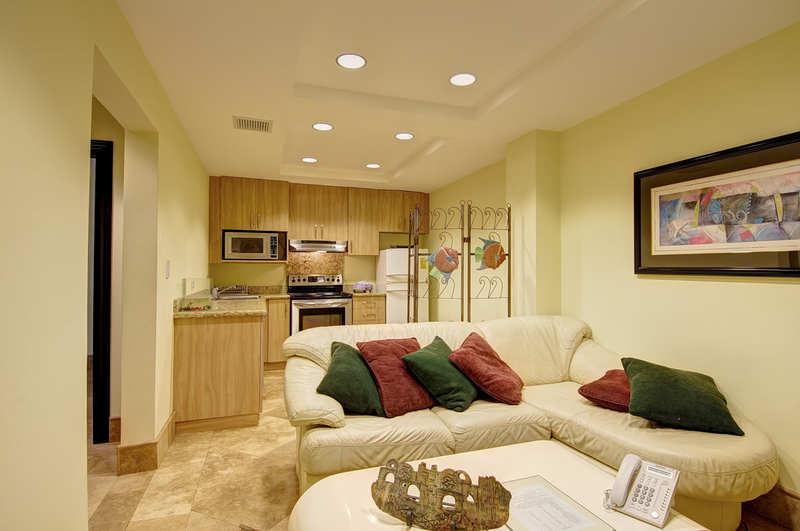 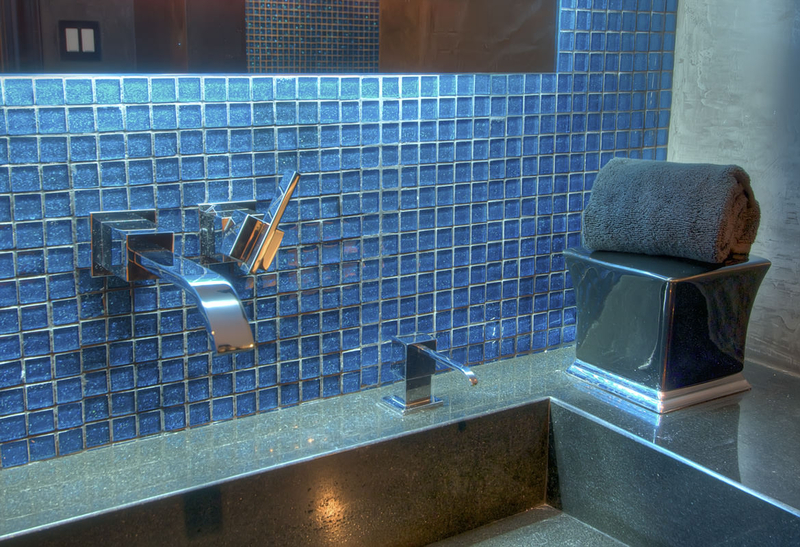 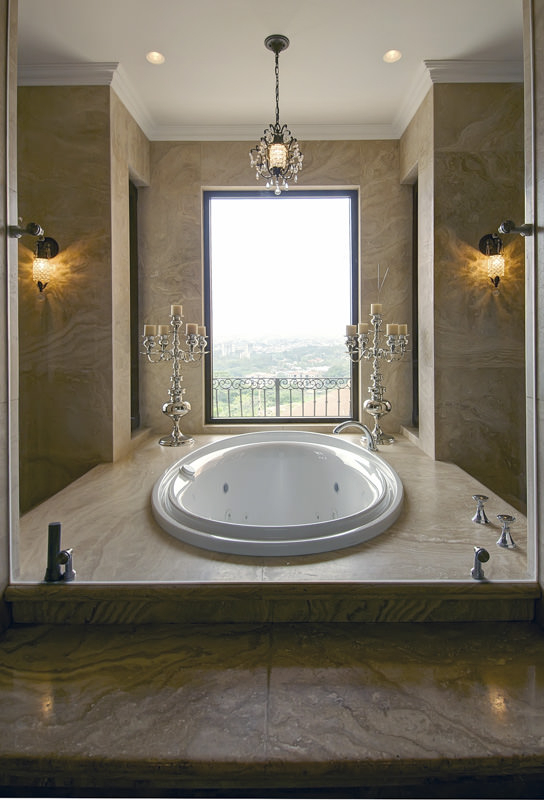 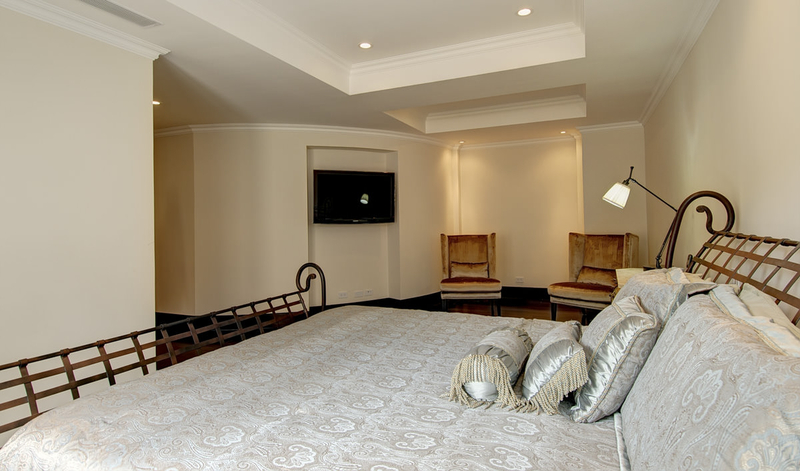 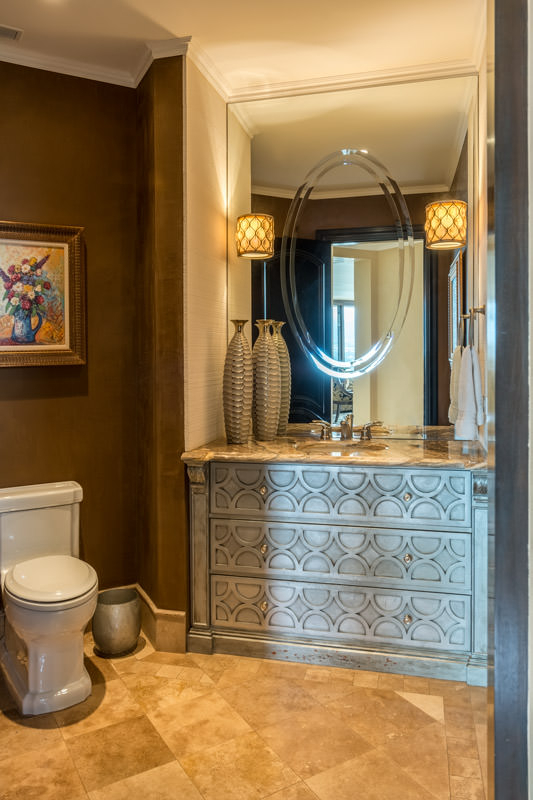 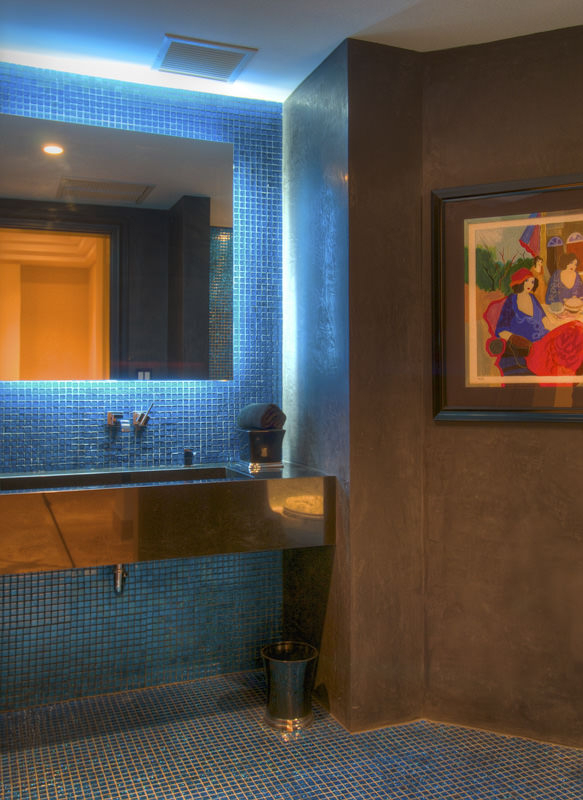 You will also find two ensuite bedrooms, both with impeccable details, unobstructed views, and masterful bathrooms. 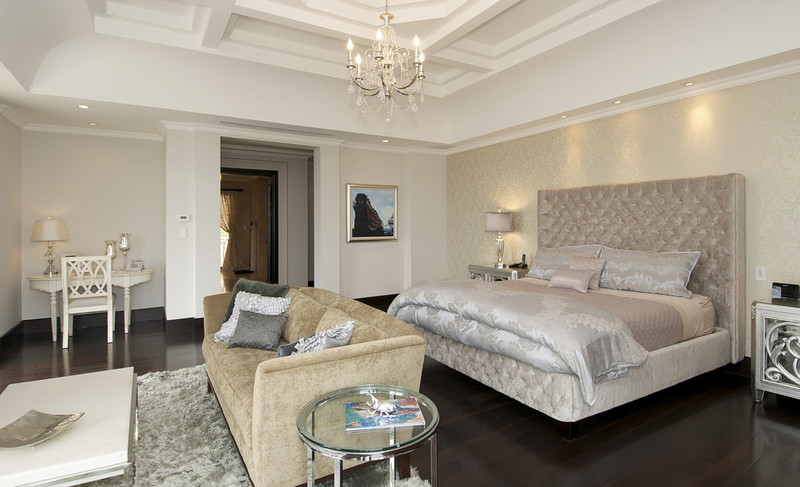 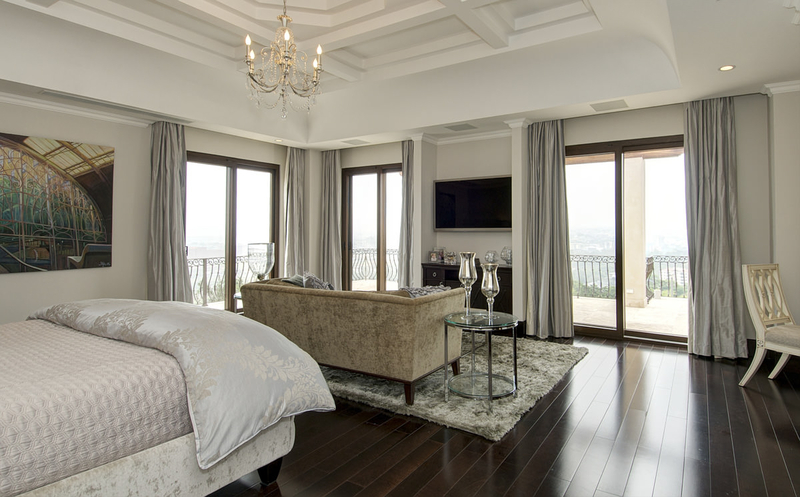 The master suite, on the opposite end of the home is a true refuge, boasting unparalleled views, hardwood floors, custom ceiling details, wrap around balcony, electric blinds, and of course, a master bathroom and closet fit for kings and queens. 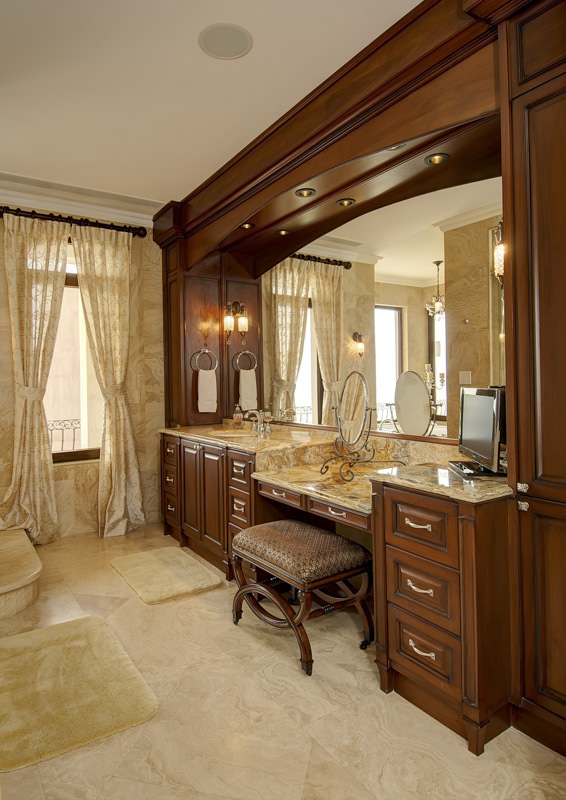 The master bath is a split space to provide his and hers, dual sinks and vanities, a fully customizable Kohler Water Tile system with a DTV Digital Interface, steam shower, Kohler Whirlpool tub with light therapy and a Heater to maintain a constant bathing temperature, Toto Toilet with Washlet. 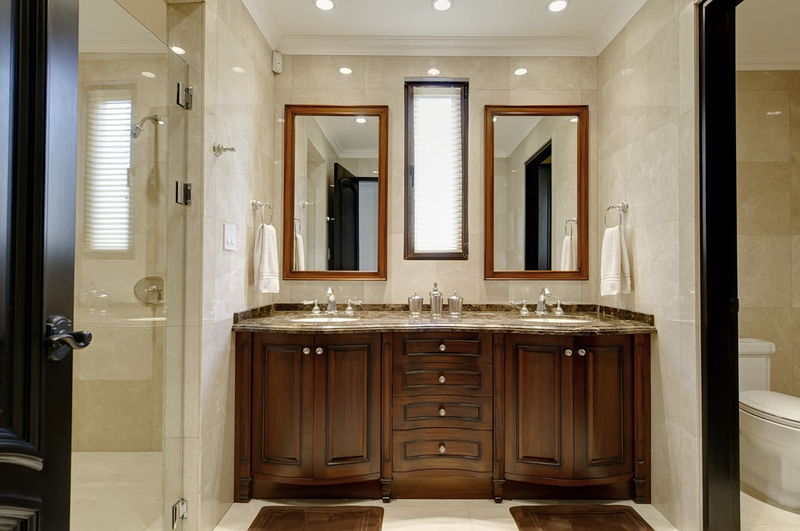 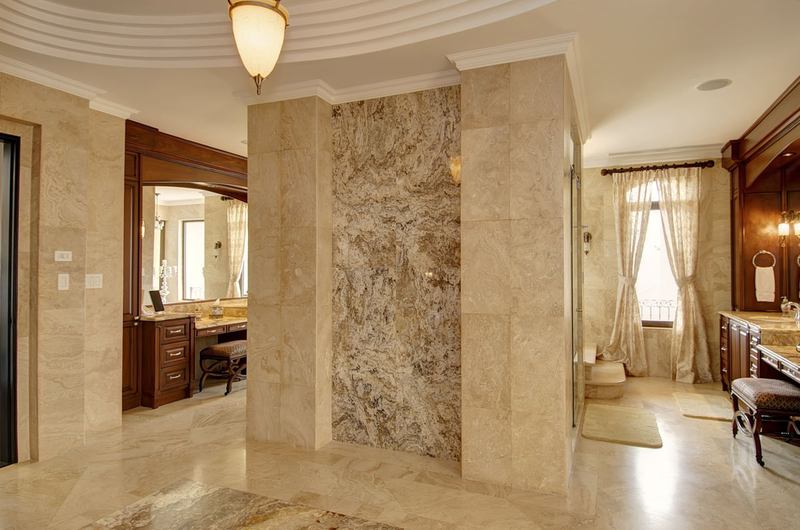 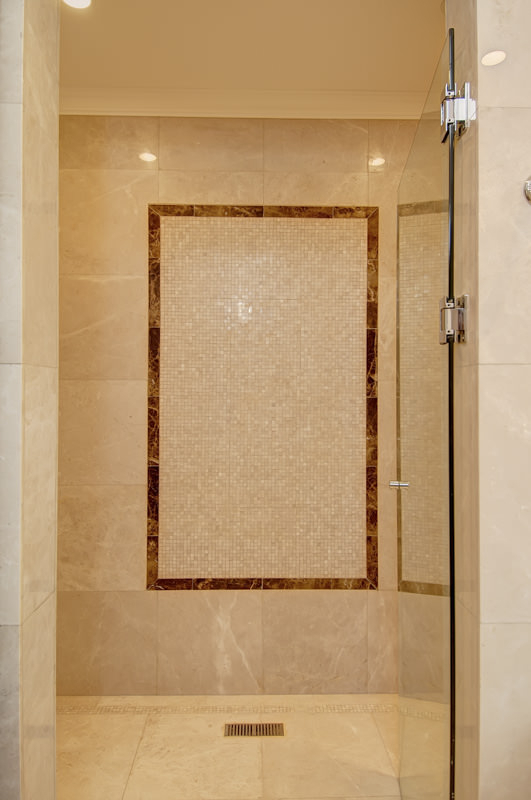 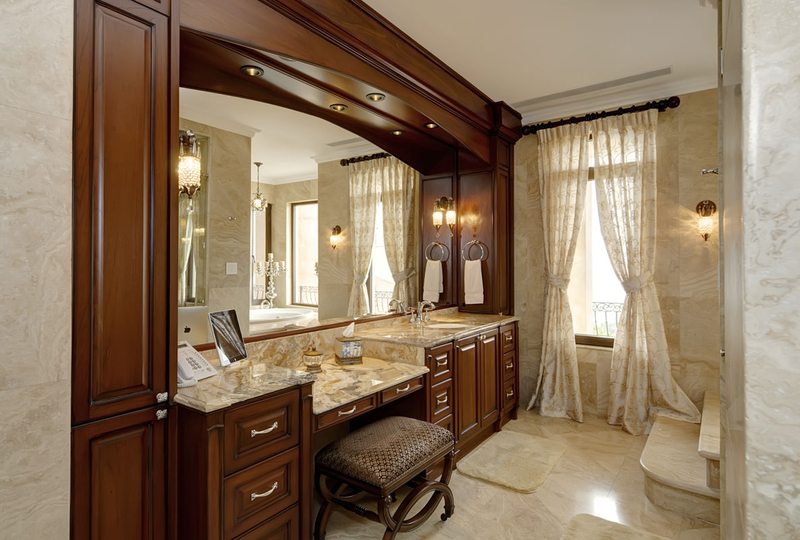 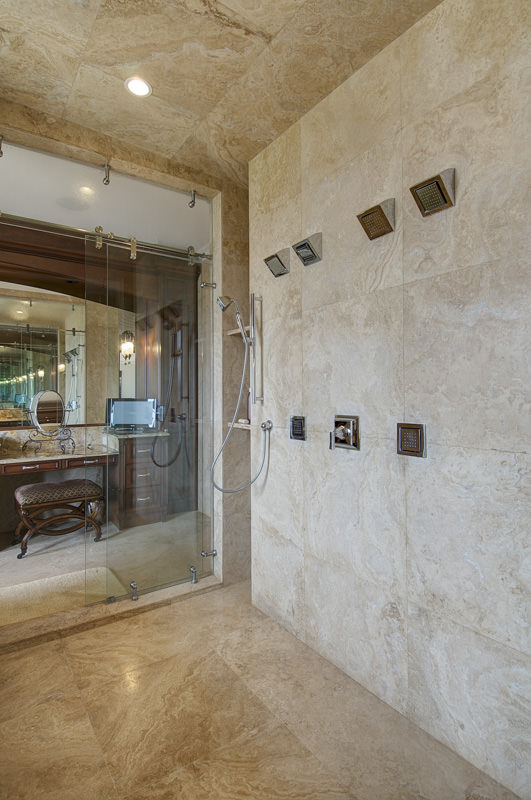 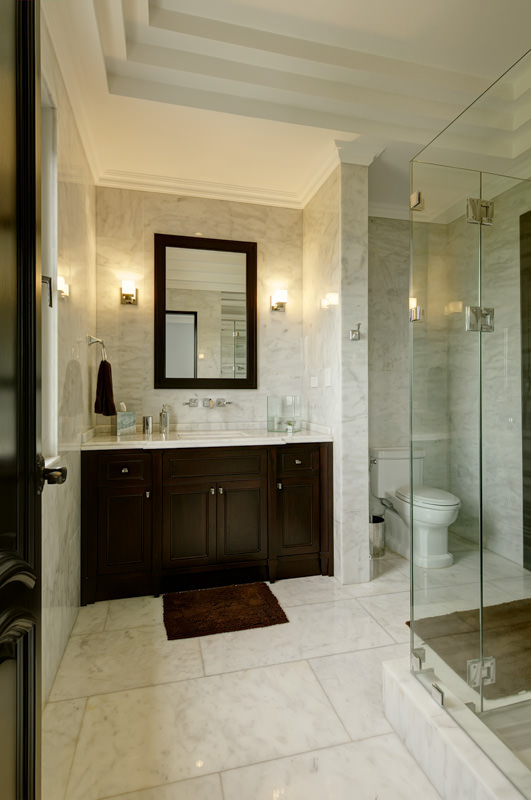 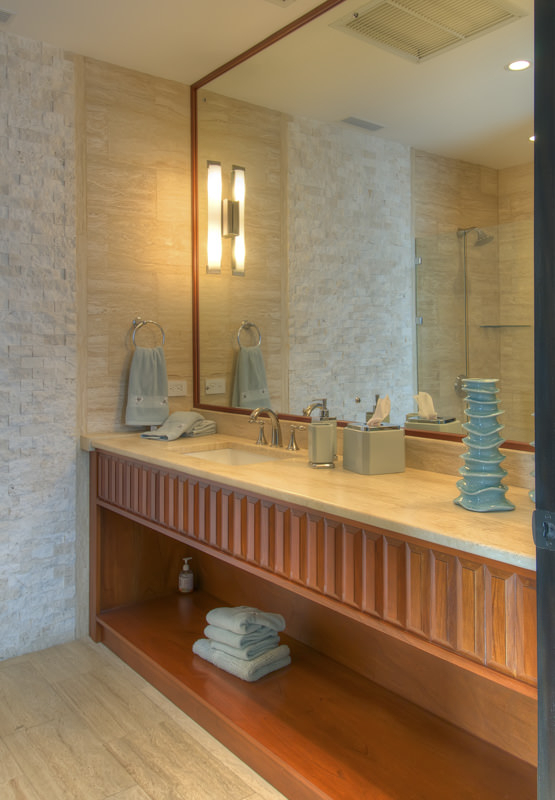 Adjoining the bathroom is a Walk In Closet with all Wood Custom Built-Ins, a Travertine island and Additional Closet for shoes and purses. 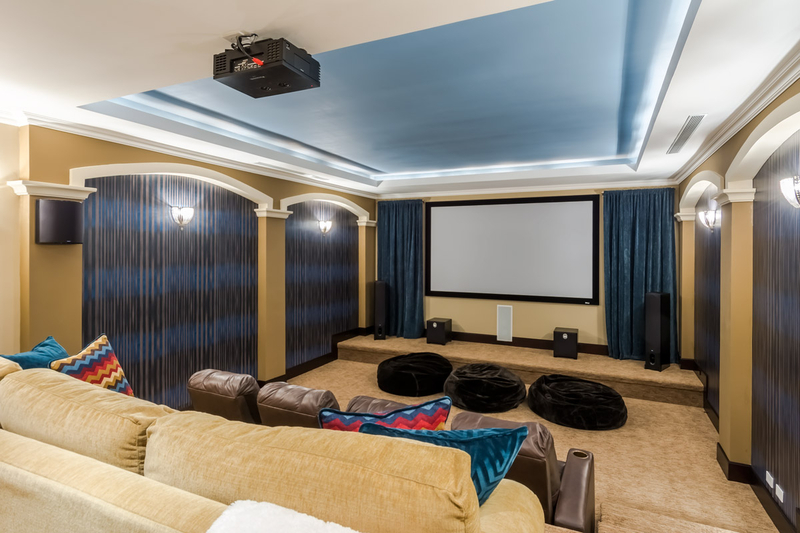 The lower floor of the home hosts a self contained, home theater with the finest equipment and seating, and of course, the IT central zone for the home, an expansive service quarters/apartment including 2 bedrooms, living area, laundry room, and a 4 car garage. 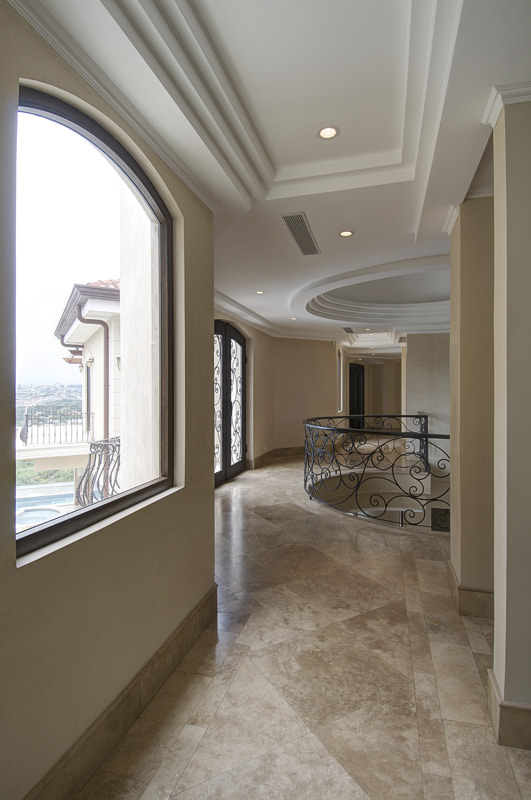 The home boasts endless visible and hidden luxury features, including, but not limited to: Imported Travertine, Granite and Marble in all areas, Cedar wood floors and doors, PVC German Windows and Sliding Glass Doors, temperate glass of 10 mm in windows,Lutron system, Intelligent home with Surgex brain system, Venetian stucco on walls, ADT alarm system,Central Air Conditioning Crestron Home Automation System with Music Distribution throughout the house and pool areas that allows for the control of Air Conditioners, Televisions, Audio and Video Distribution, as well as a Generator to serve the whole house A must see for discerning buyers.